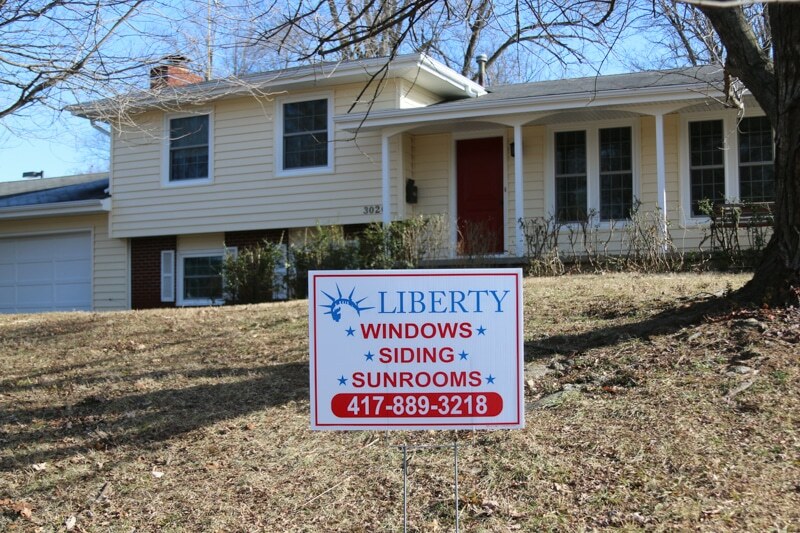 This is the sign you want in your yard! 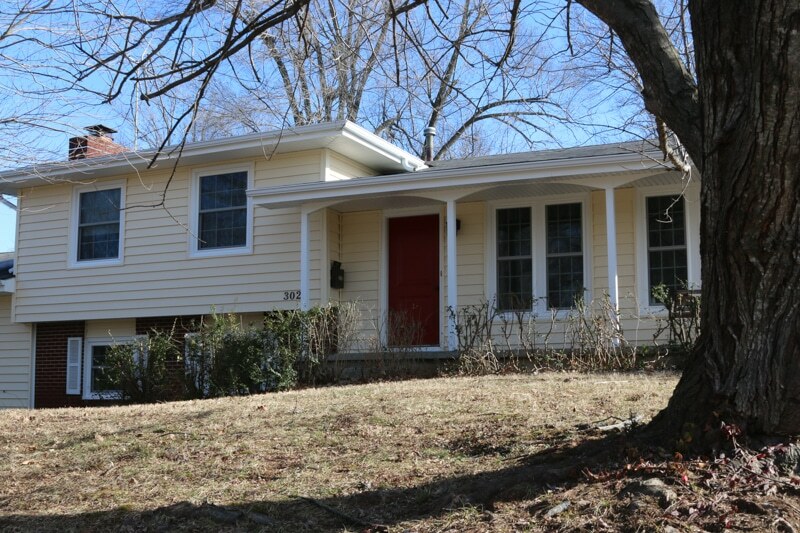 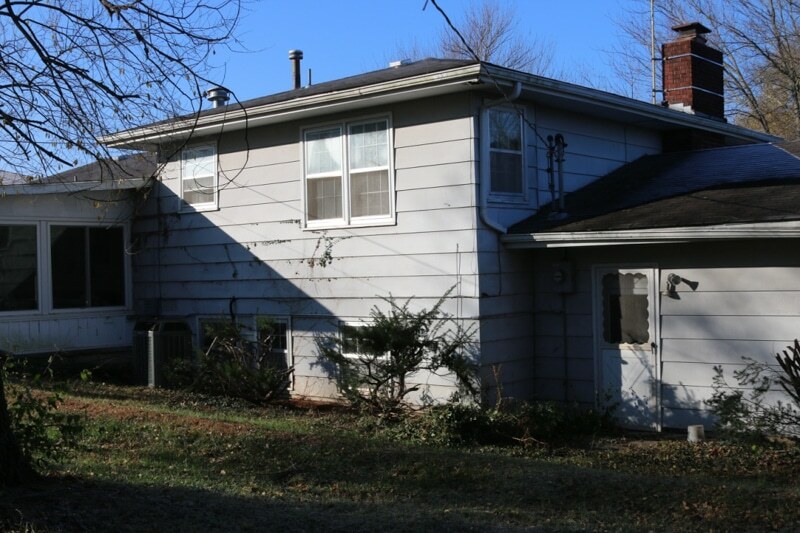 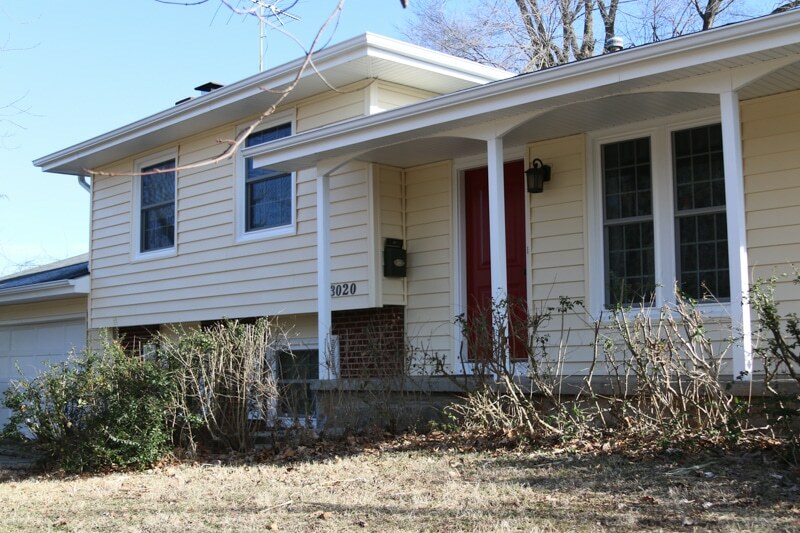 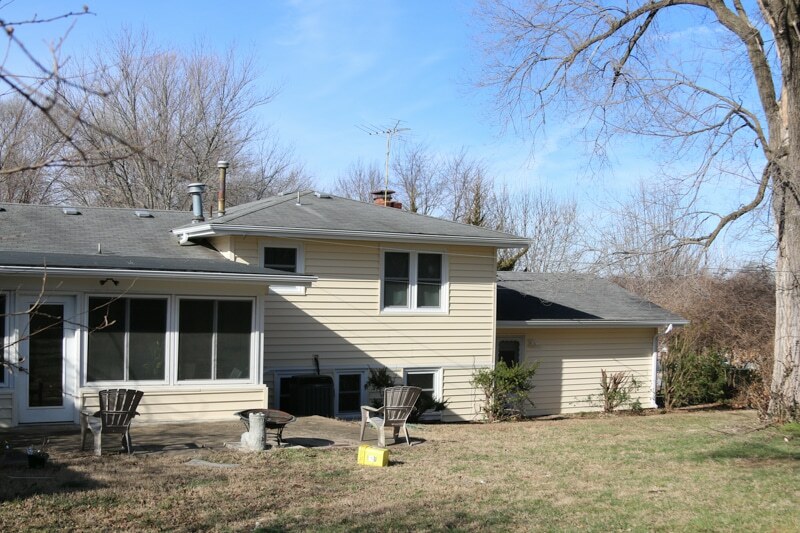 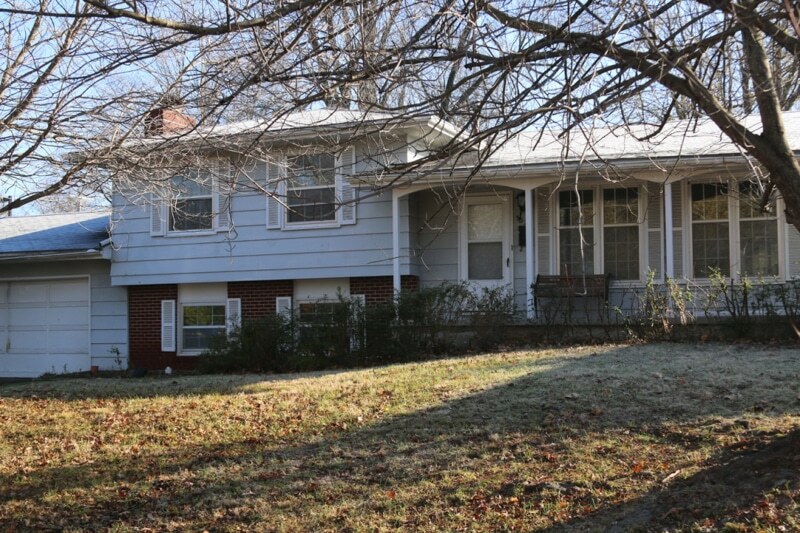 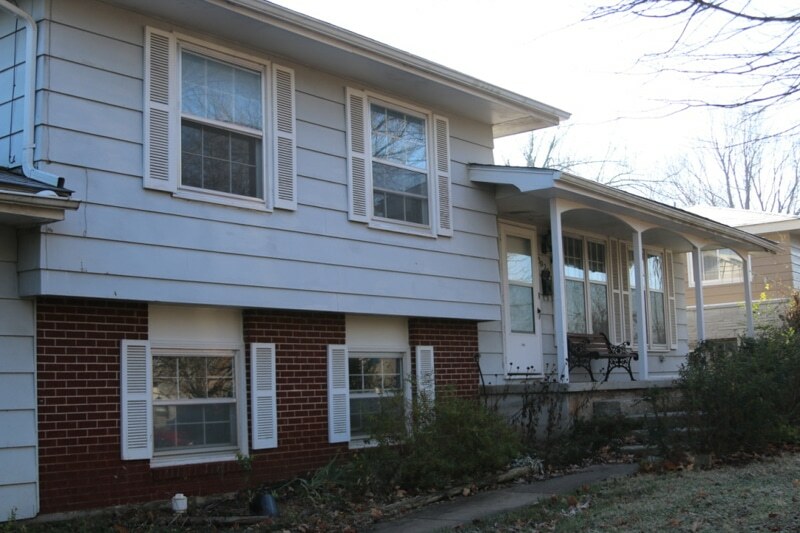 Recently we remodeled a home on the Eastside of Springfield Missouri. 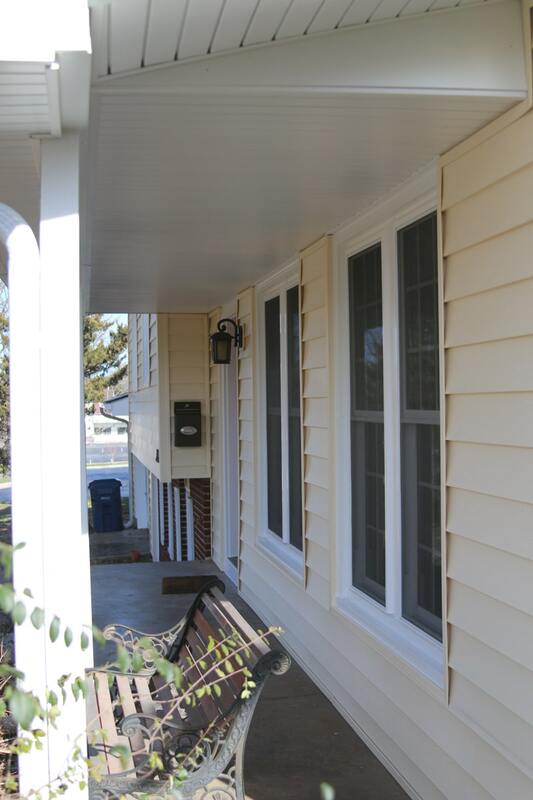 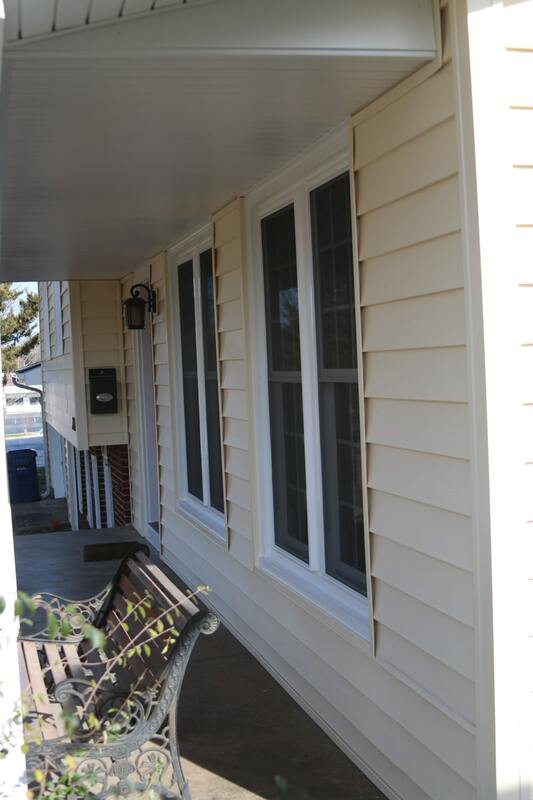 For this customer we installed new foam backed vinyl siding, double hung replacement windows, a new front door, gutters, and soffit and facia. 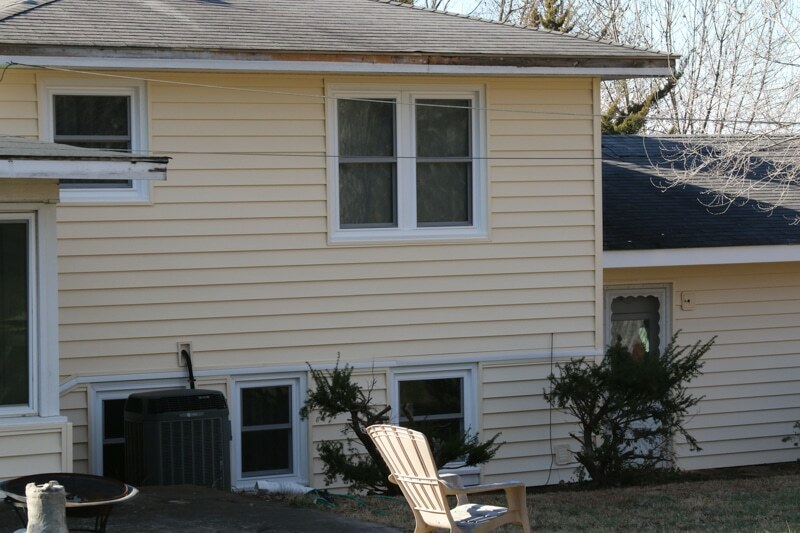 The result speaks for itself. 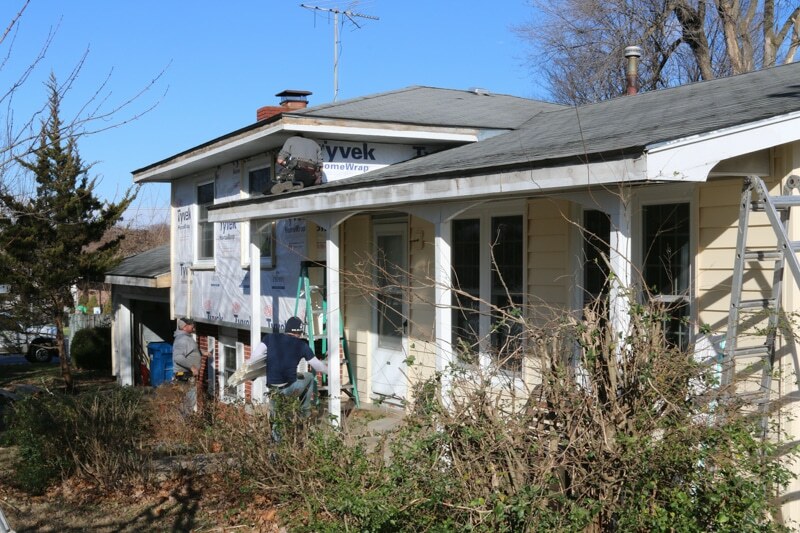 We encourage you to watch the video and see this wonderful transformation for yourself. 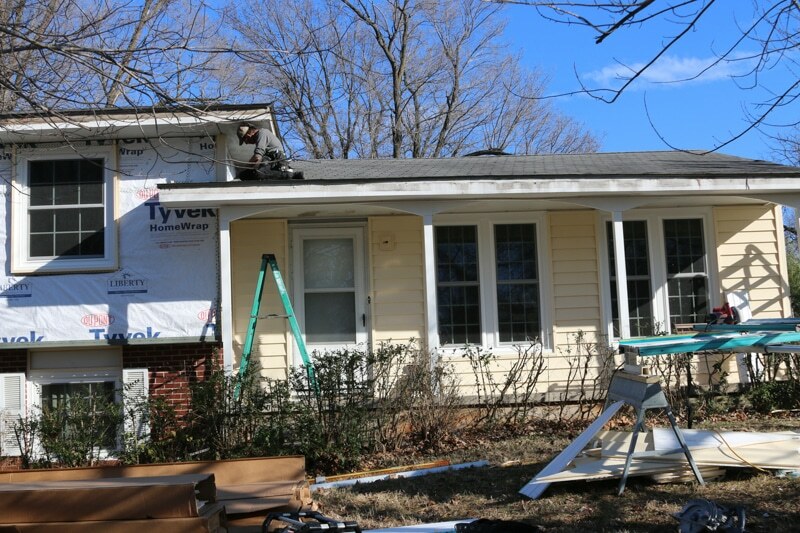 When we got started it was our typically home remodel. 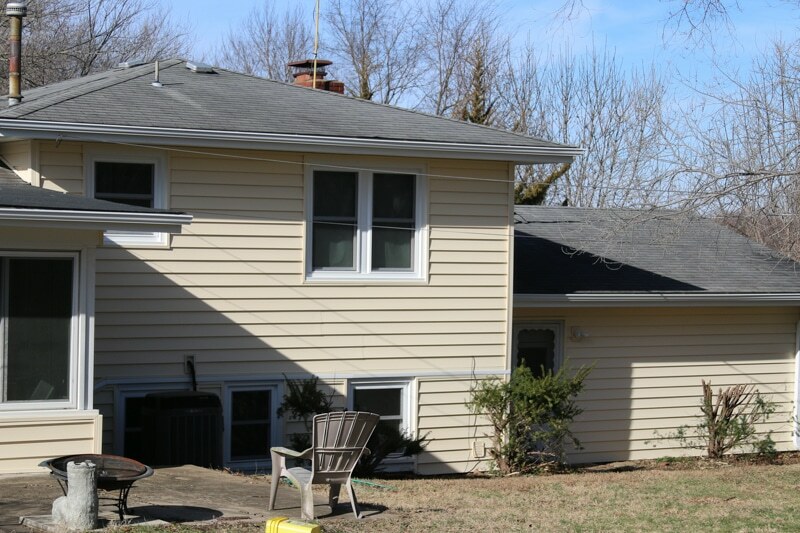 The property required a lot of maintenance. 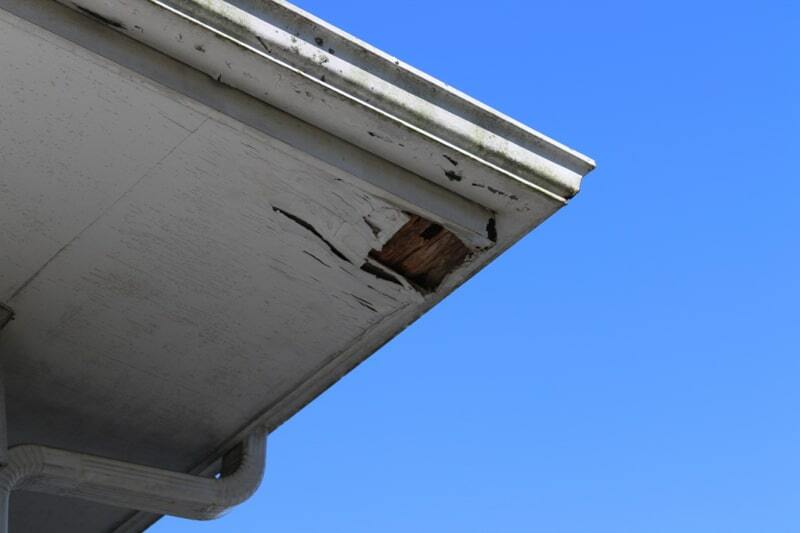 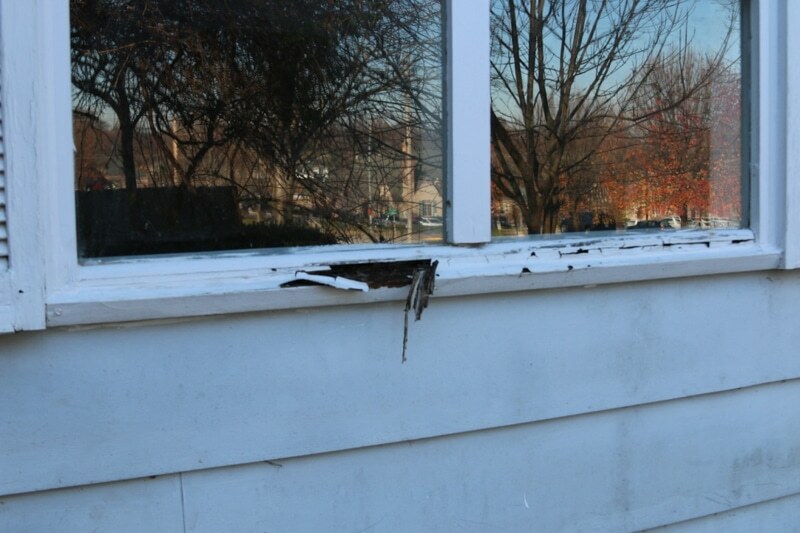 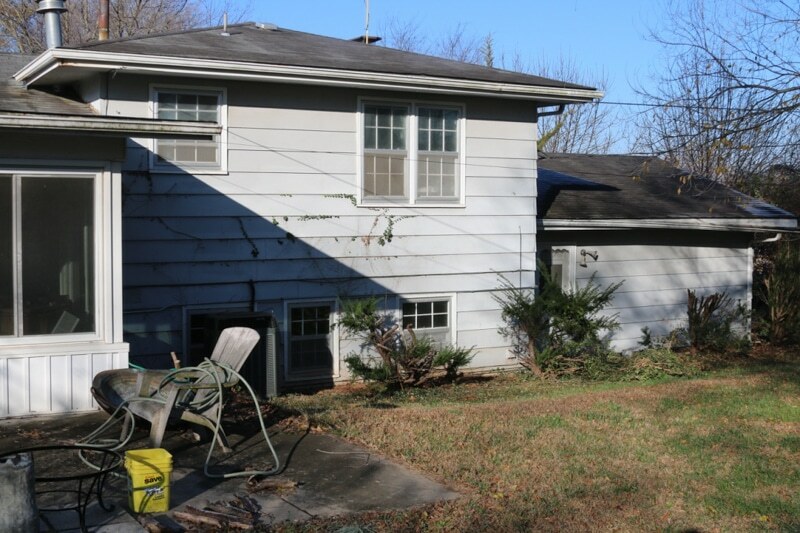 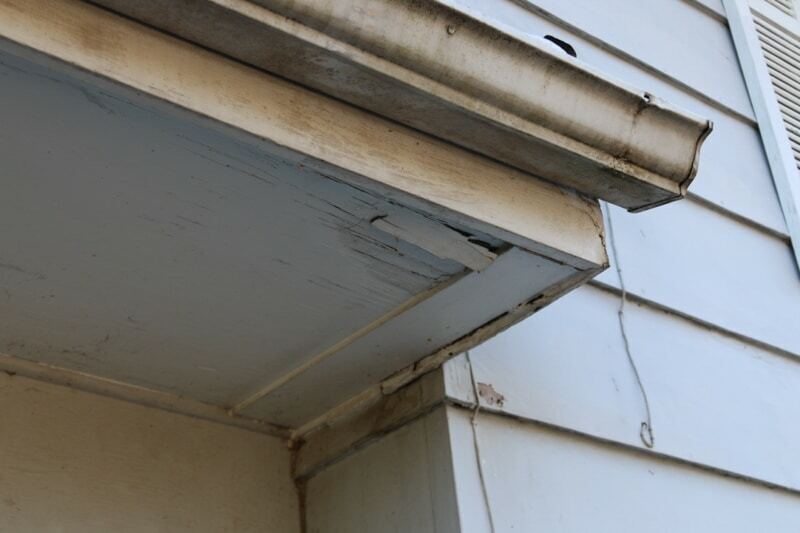 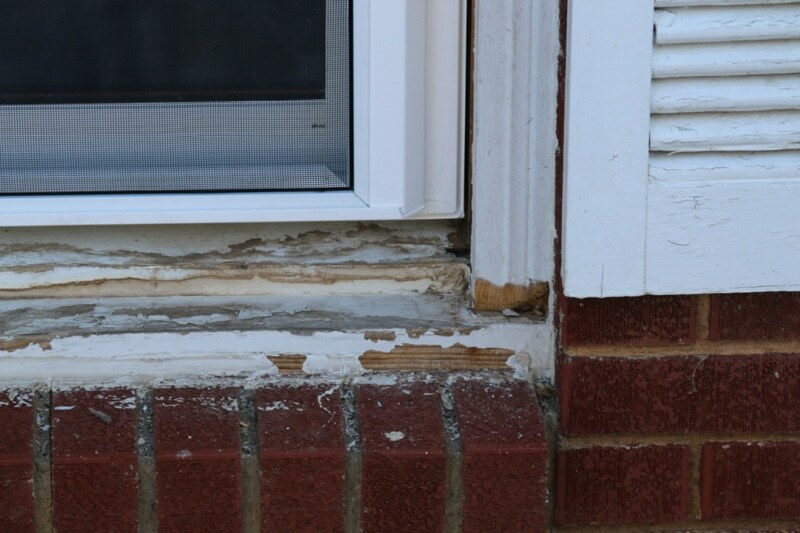 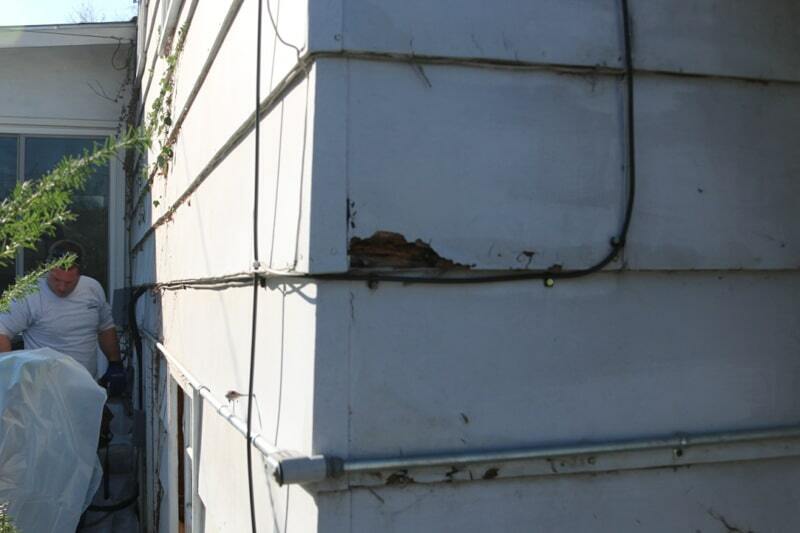 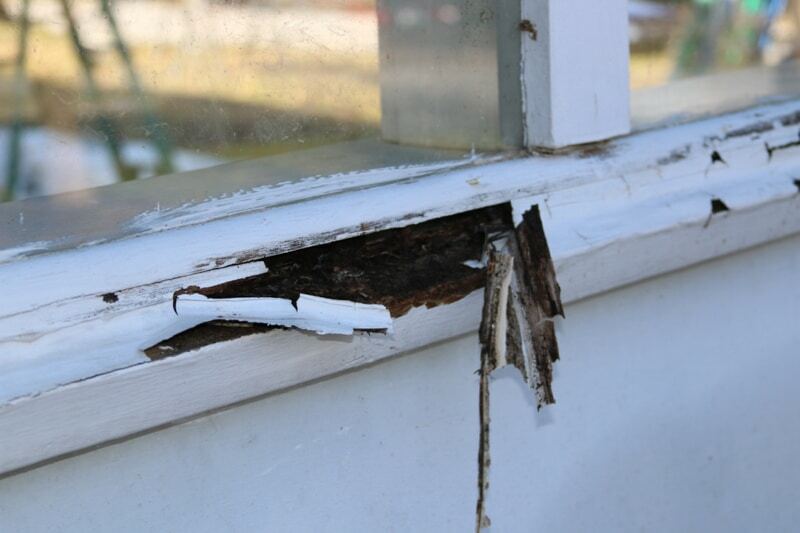 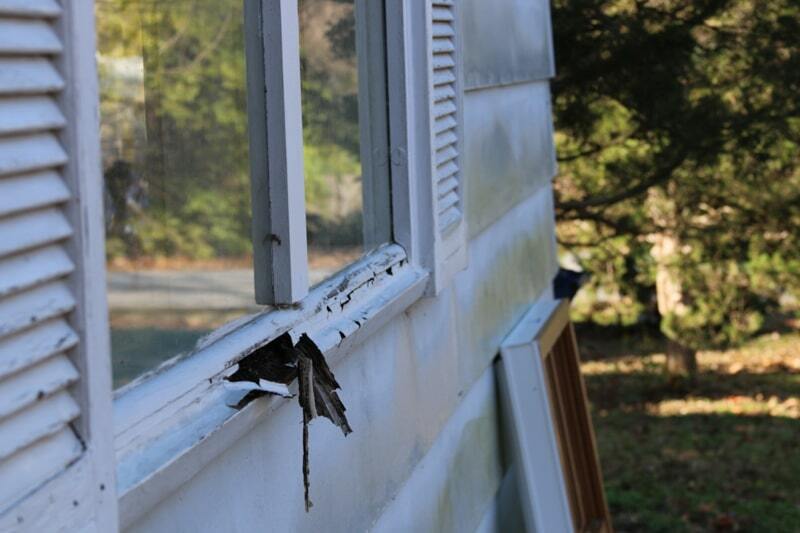 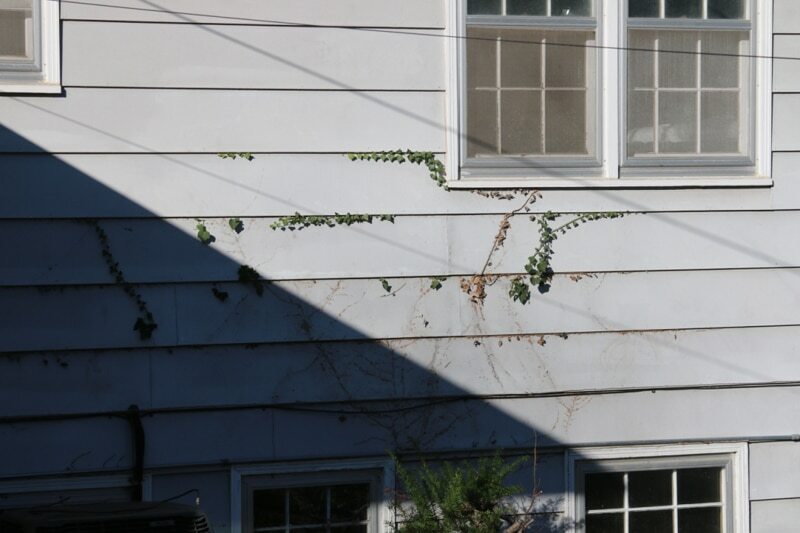 There was a lot of dry rot around the window sills, soffit and fascia damage, as well as energy losses from both the windows and siding. 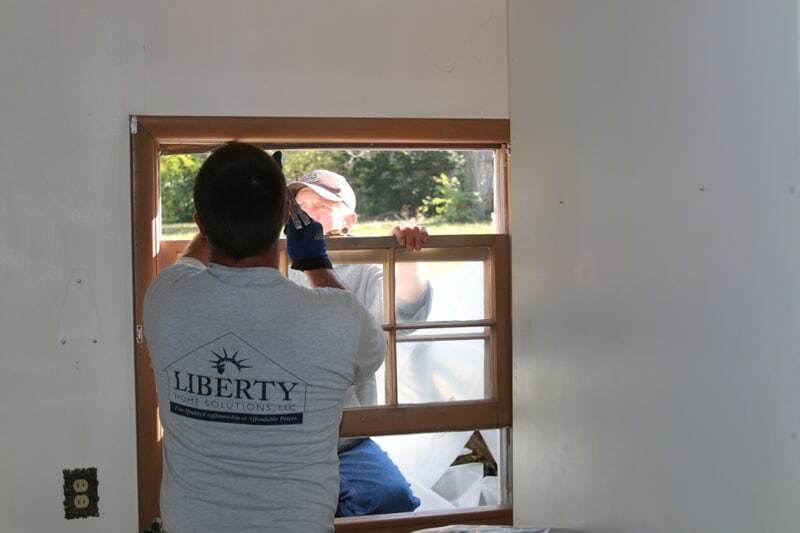 We came out and did an initial consultation to understand exactly what the homeowners were looking for from a design and energy efficiency standpoint. 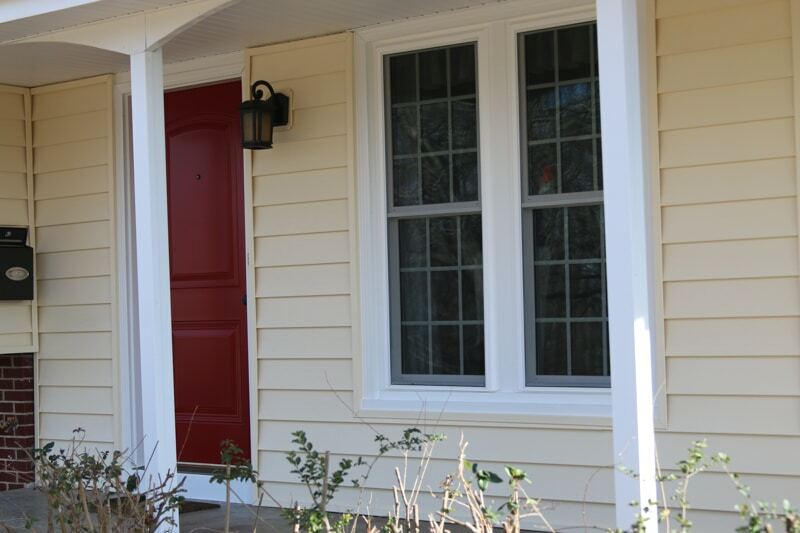 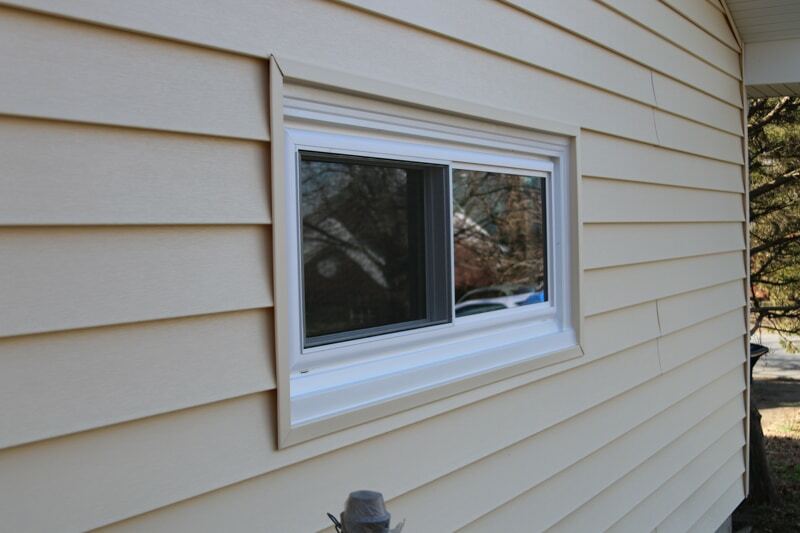 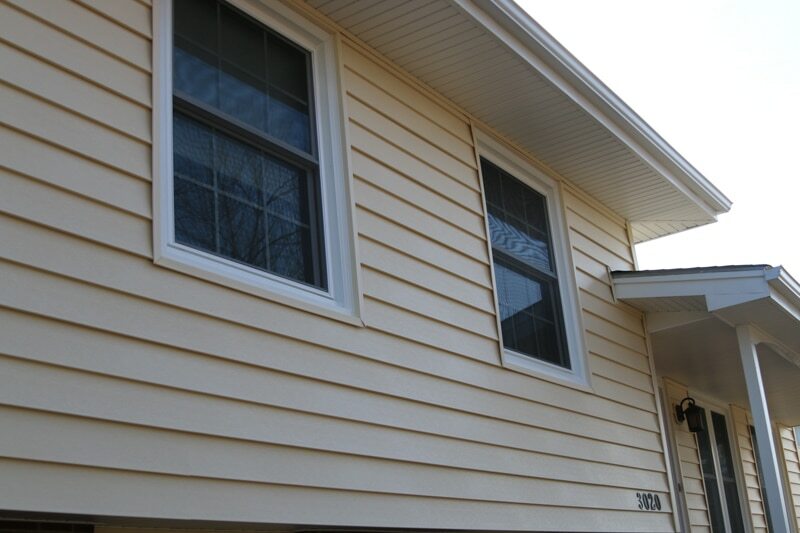 From what type of windows and siding they wanted to install, to the different color options that were available we worked with the homeowners to come up with a complete design plan for their home. 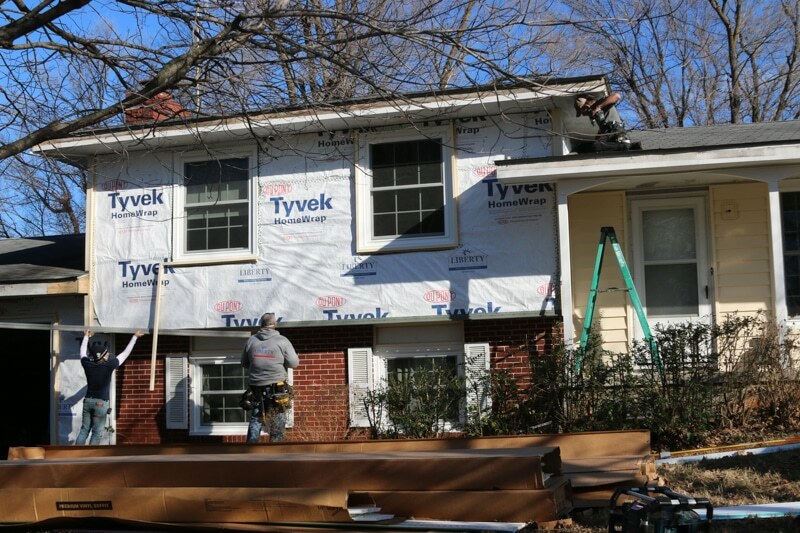 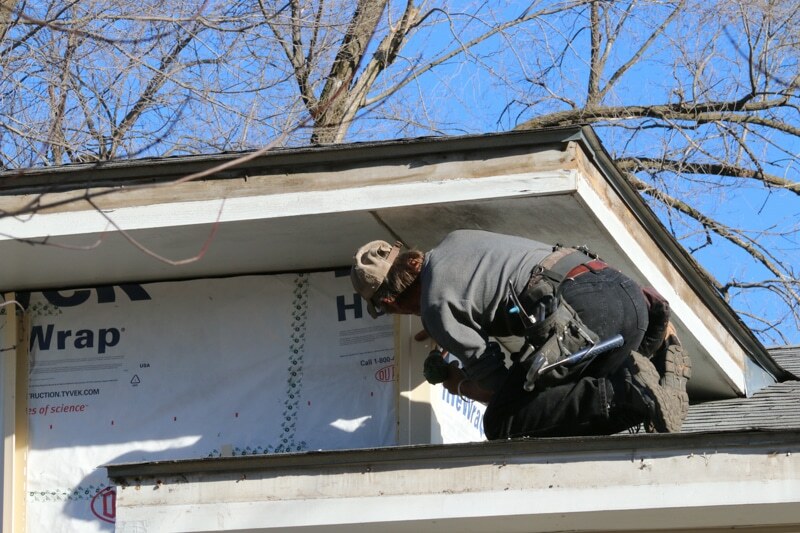 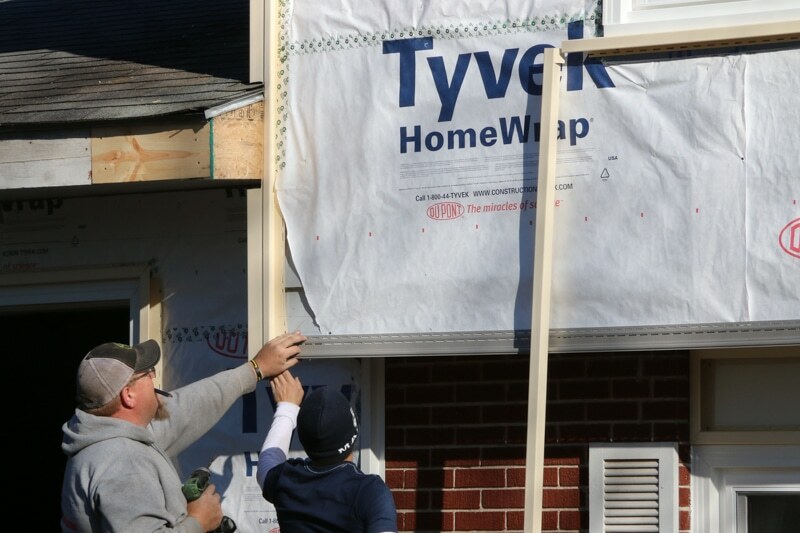 Once the plan was approved the first step in our home remodel process is to prep the house. 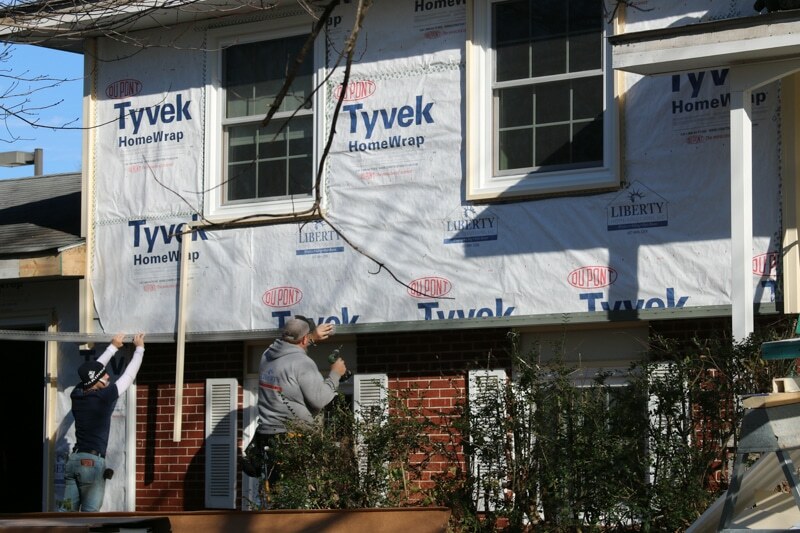 We replaced the dry rot and wrapped the entire house with a protective coating called Tyveck before the siding is installed. 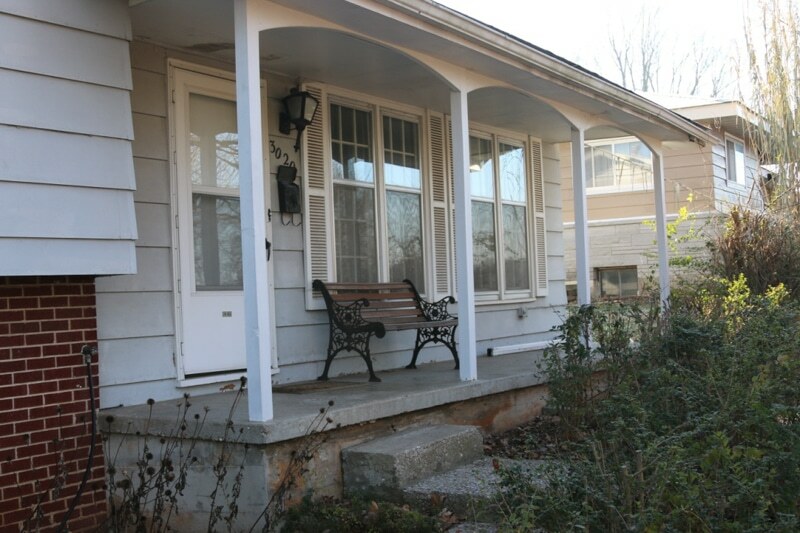 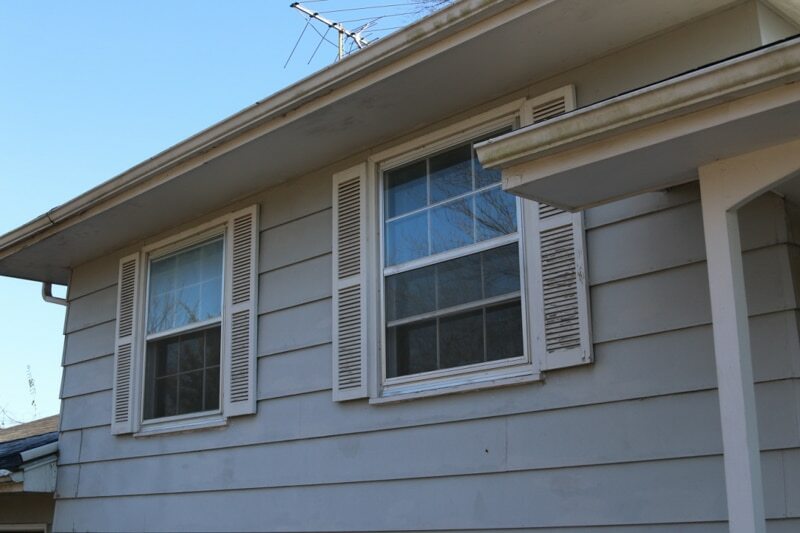 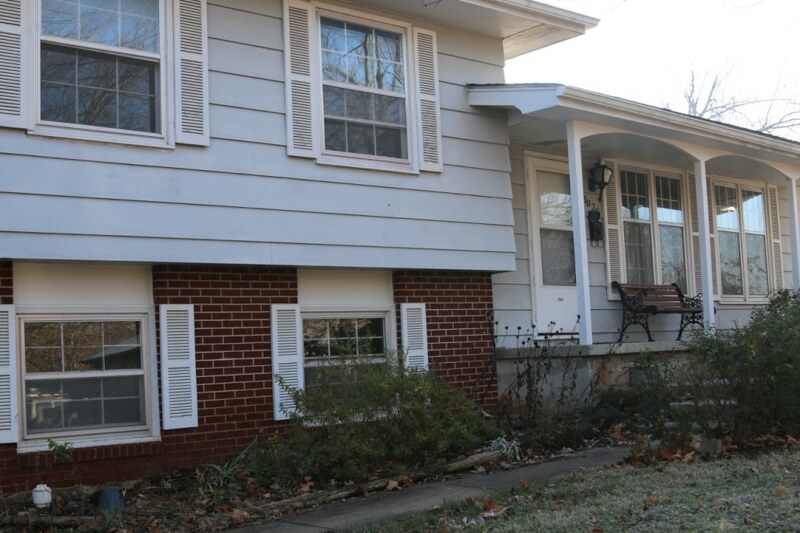 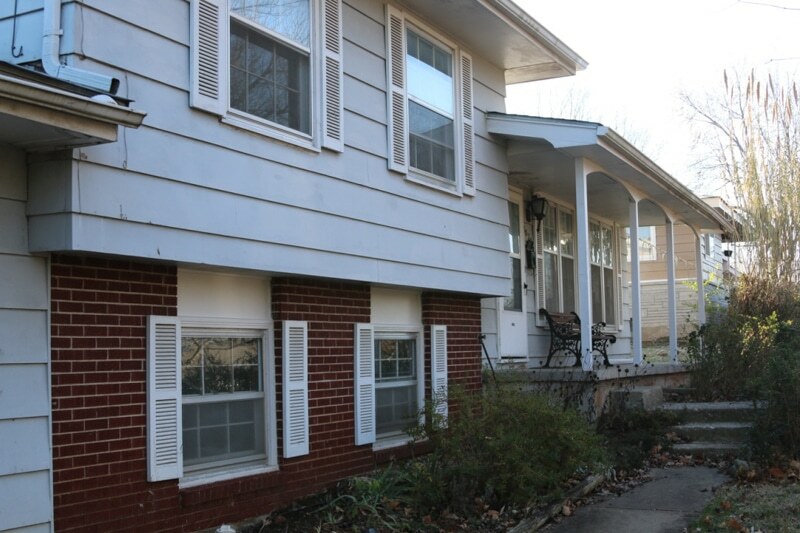 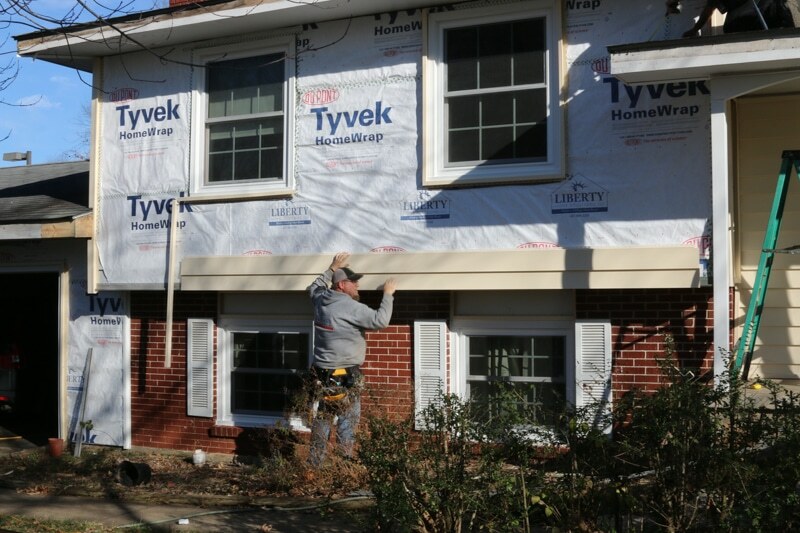 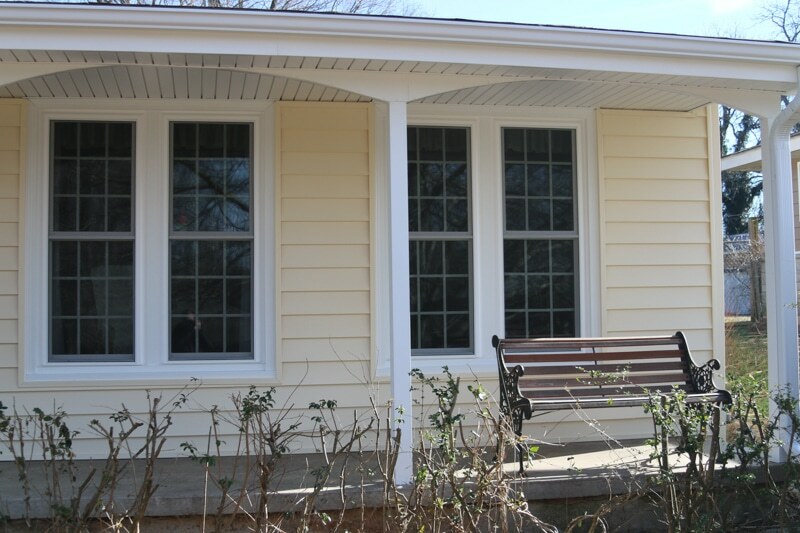 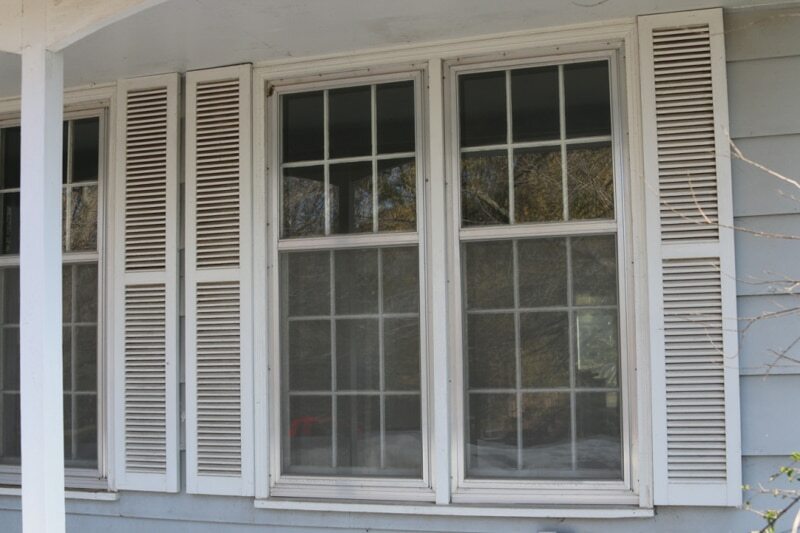 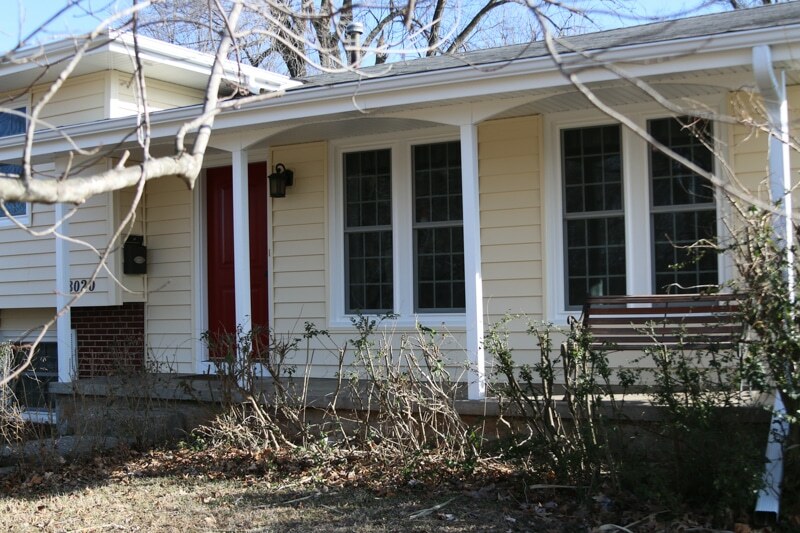 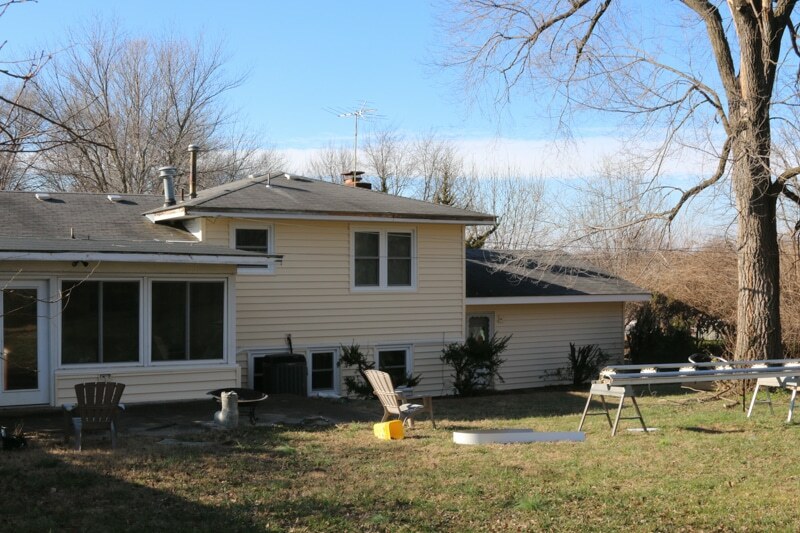 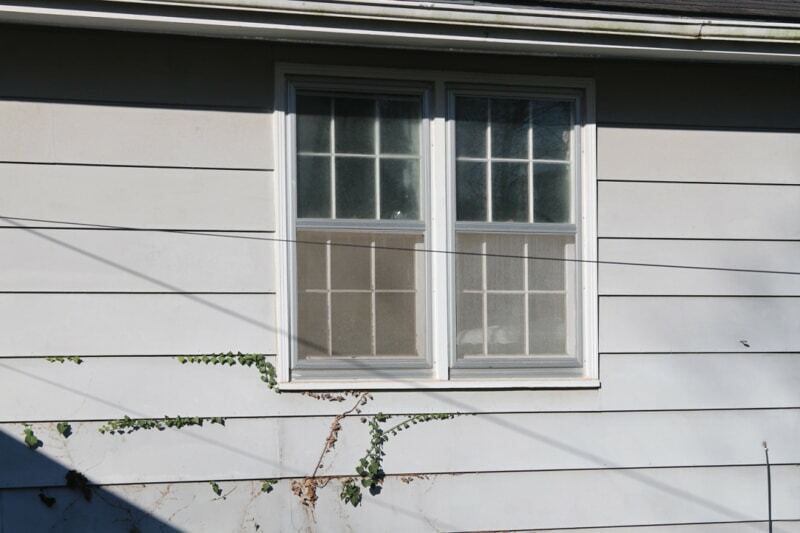 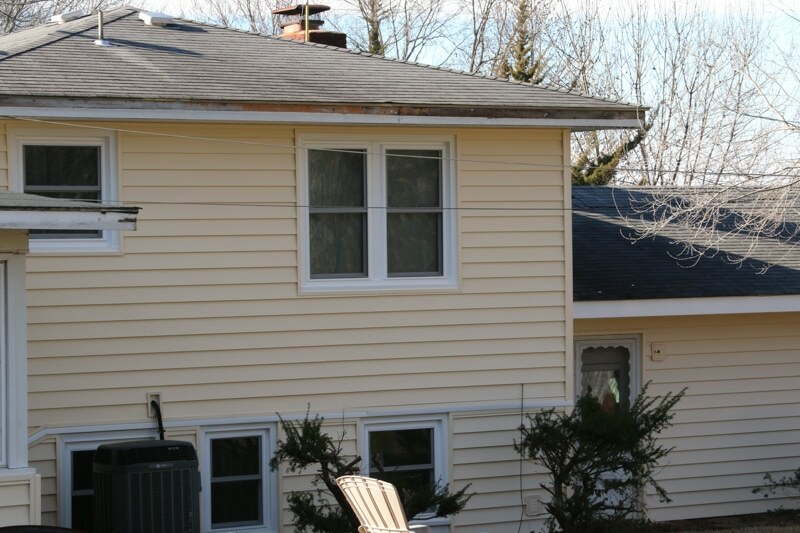 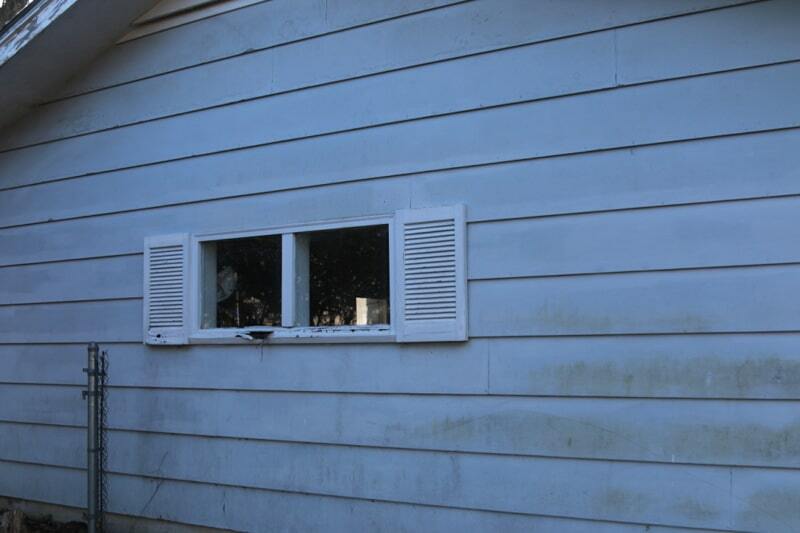 We then replaced their old windows with our energy efficient double hung windows from Soft-Lite. 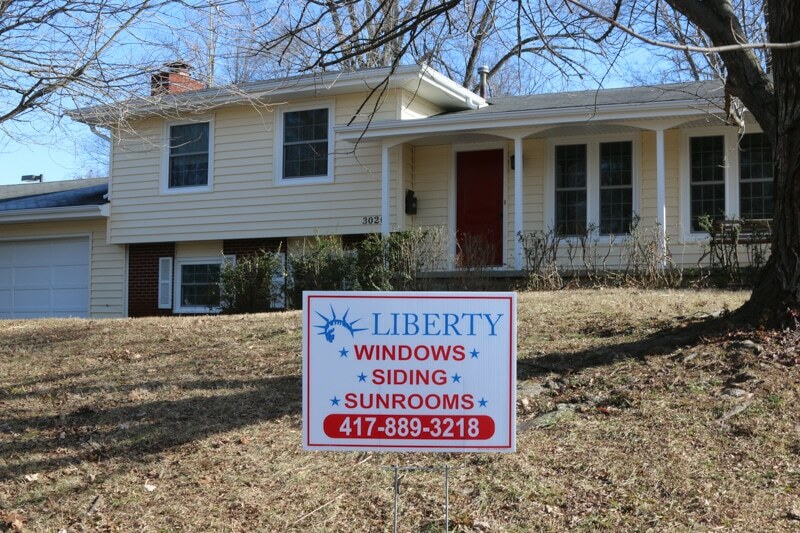 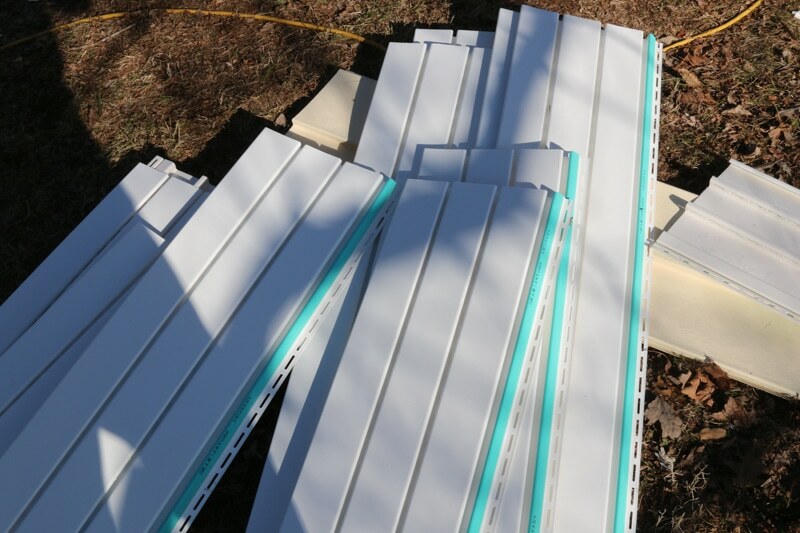 These windows are actually the most energy efficient windows you can buy on the market, and we are the exclusive windows provider of Soft-Lite windows for all of the Ozarks. 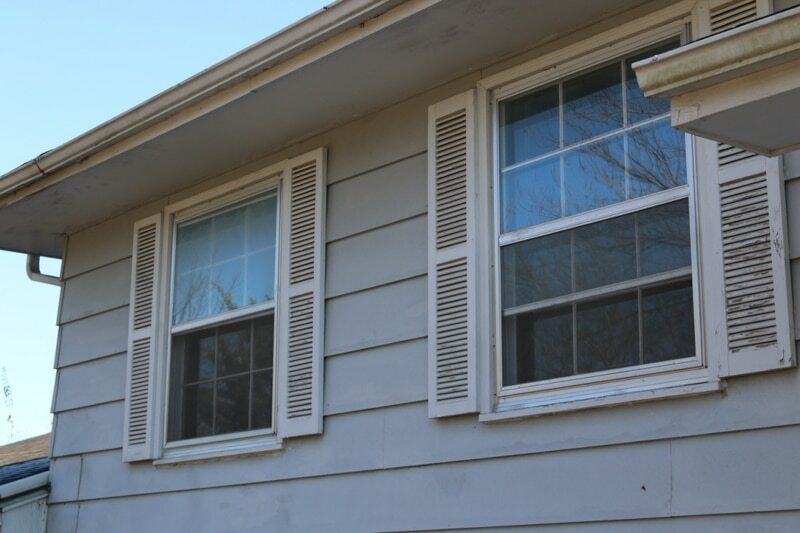 These windows have a full screen so they can have ventilation both on the top of the window and on the bottom. 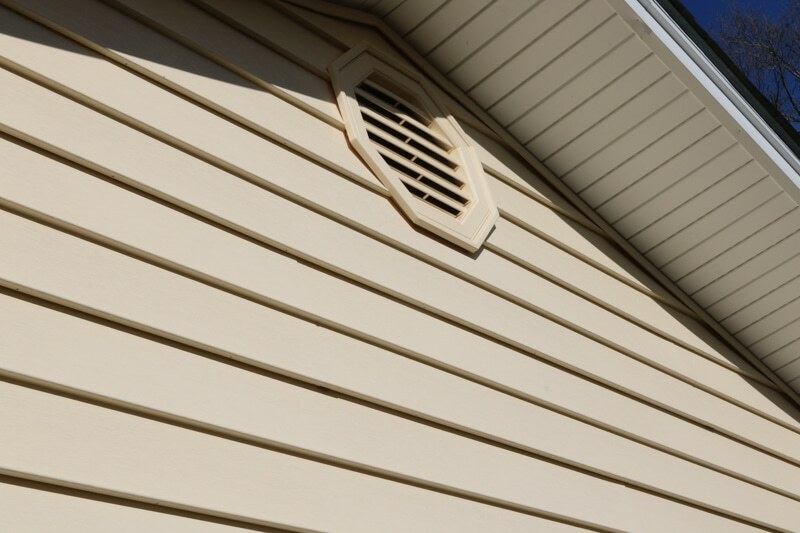 They also added the decorative grid pattern to create a colonial look for the home. 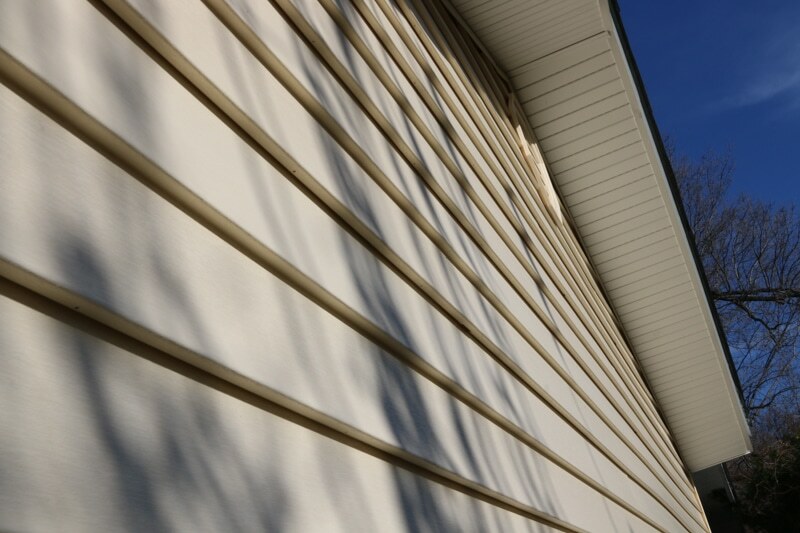 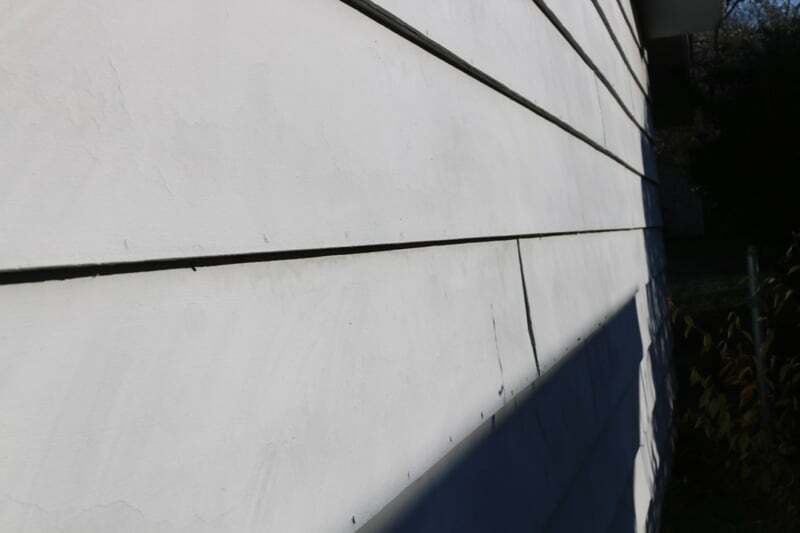 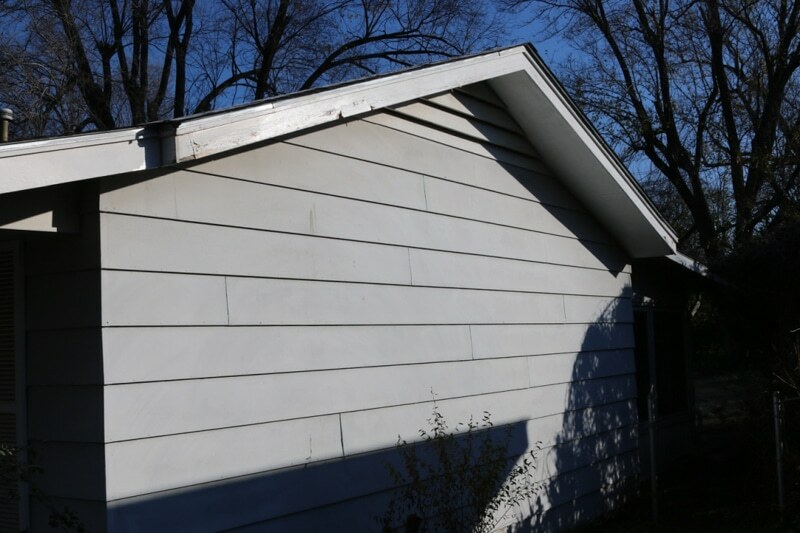 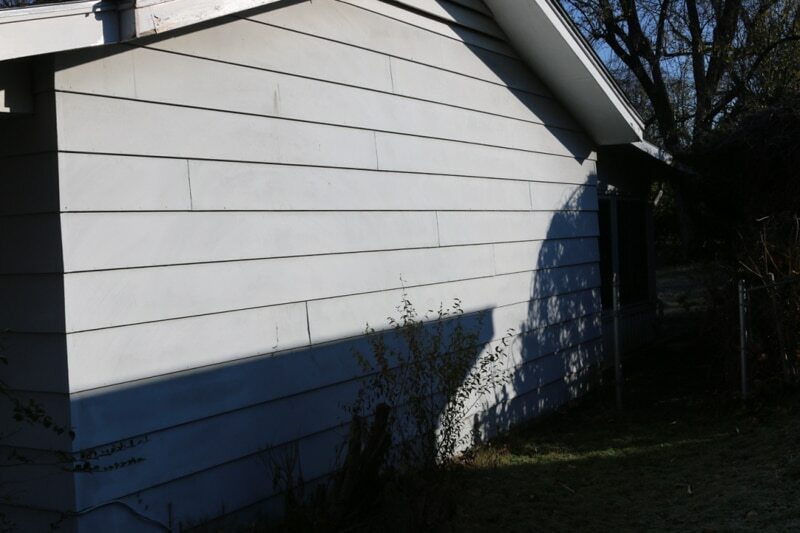 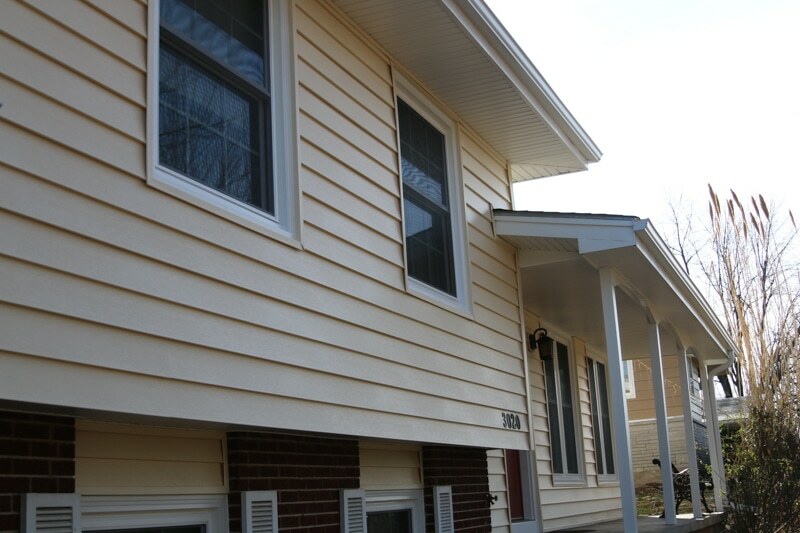 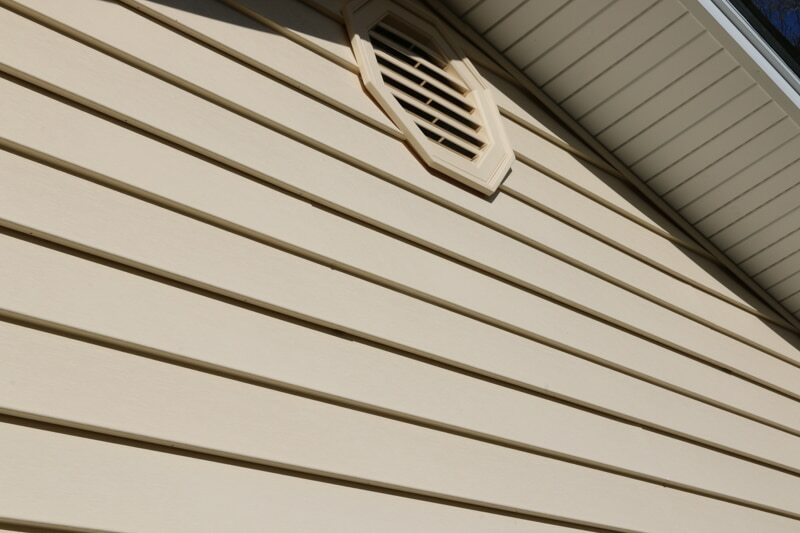 For the home’s exterior the homeowners selected our clapboard siding in our crème color to soften up the look of the home. 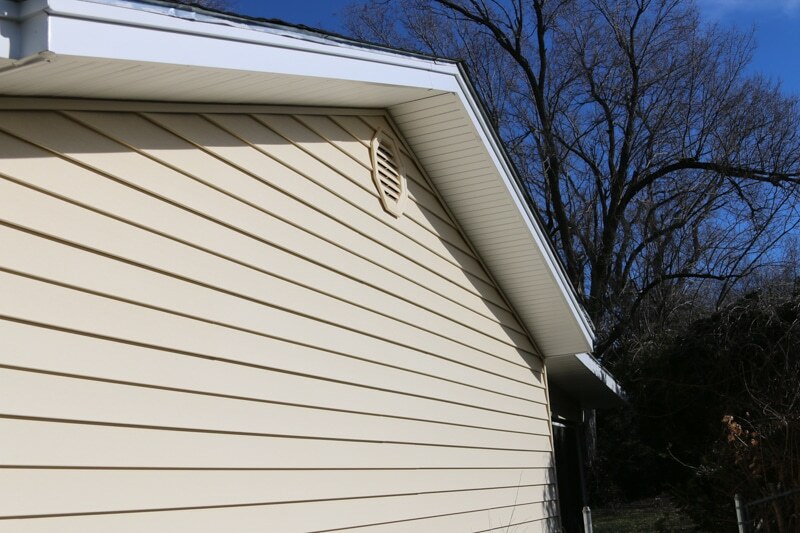 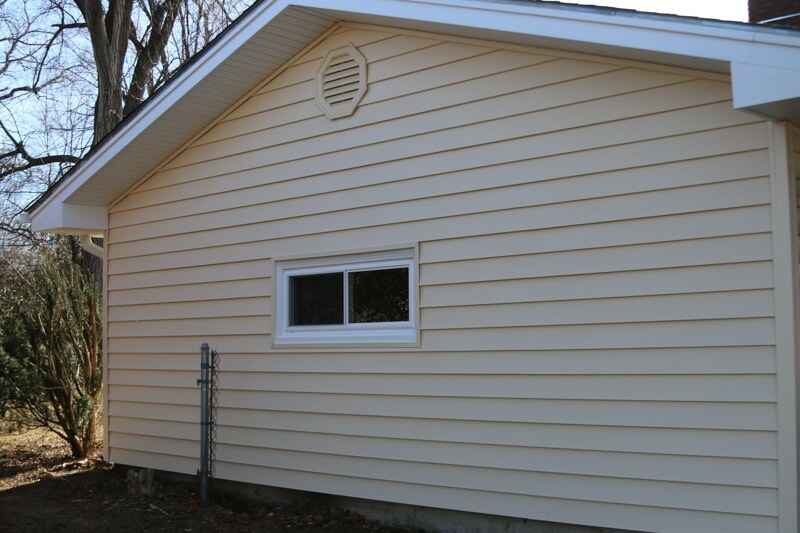 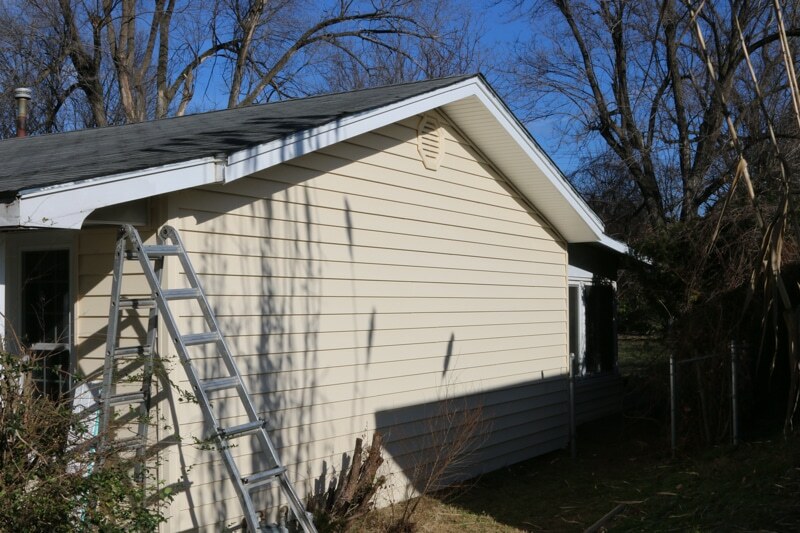 They decided to added our full back foam option to get more energy efficiency with their siding. 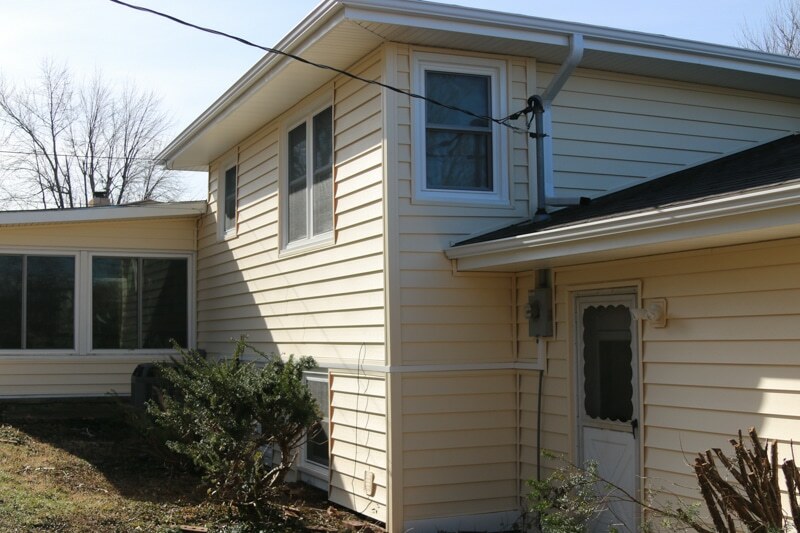 So they truly doubled their energy savings with the addition of the double hung windows and full back foam vinyl siding. 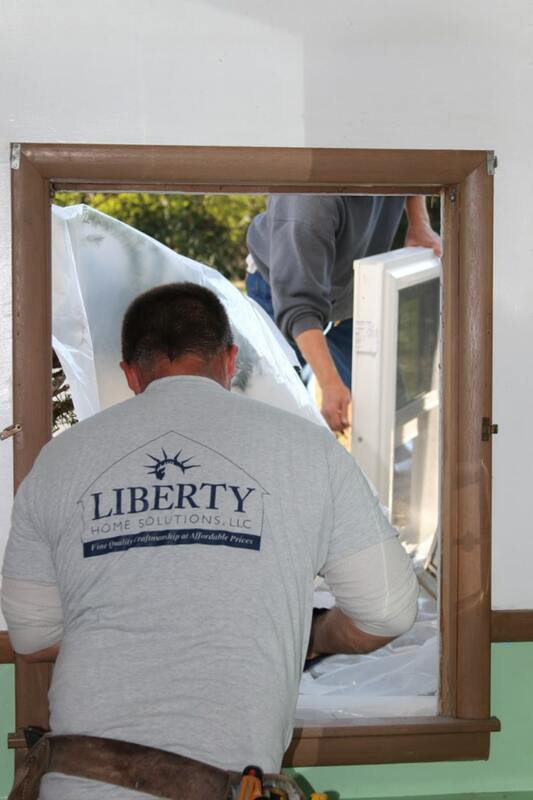 When it comes to the installation of our products we have an exceptional staff. 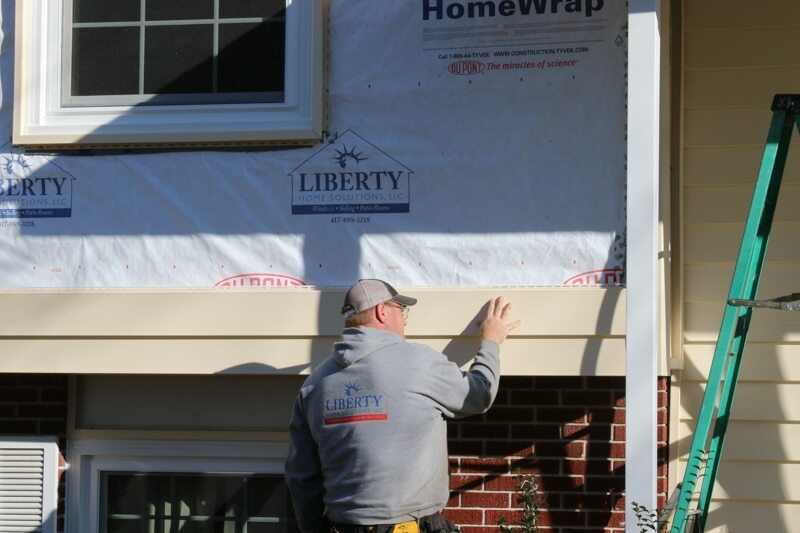 With years of experience under their belt, we are able to offer a lifetime warranty on parts and installation because we know our crews install our products the right way each and every time. 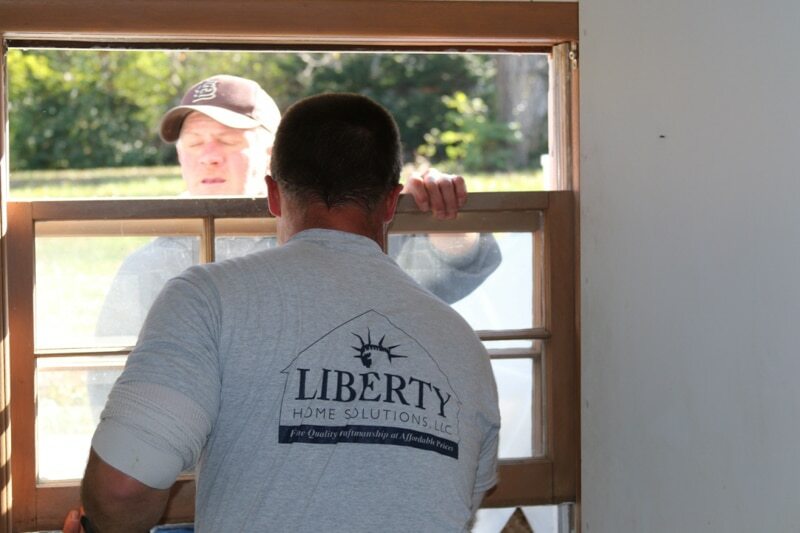 Our installers show up on time, are always professional, respectful, and do mind if the homeowner has questions or wants to know exactly what they are doing. 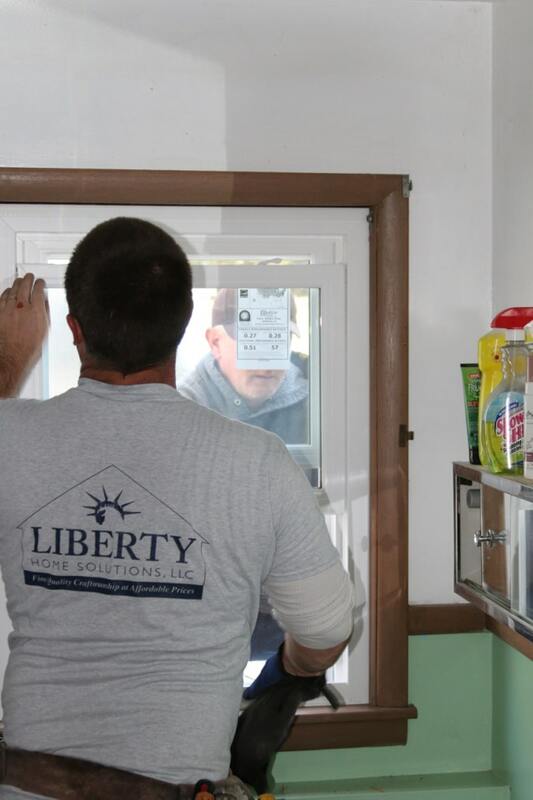 The most important aspect of what makes our installers different from other companies is that they truly care about the quality of the work. 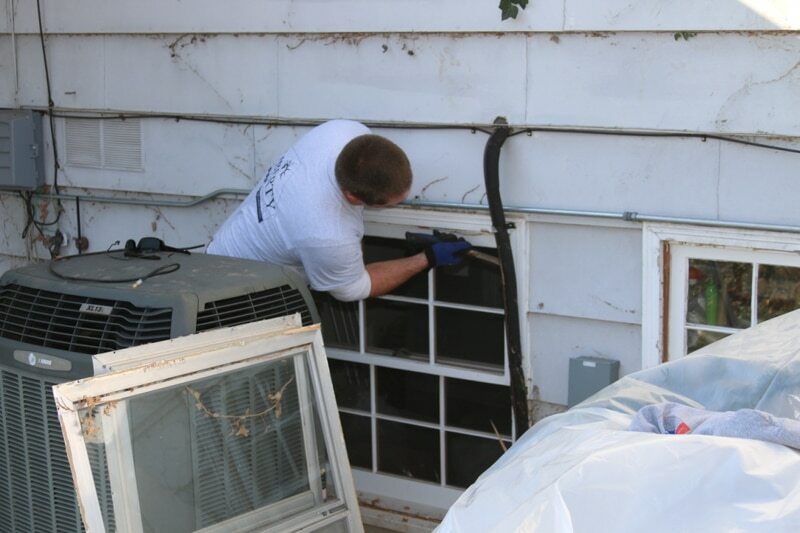 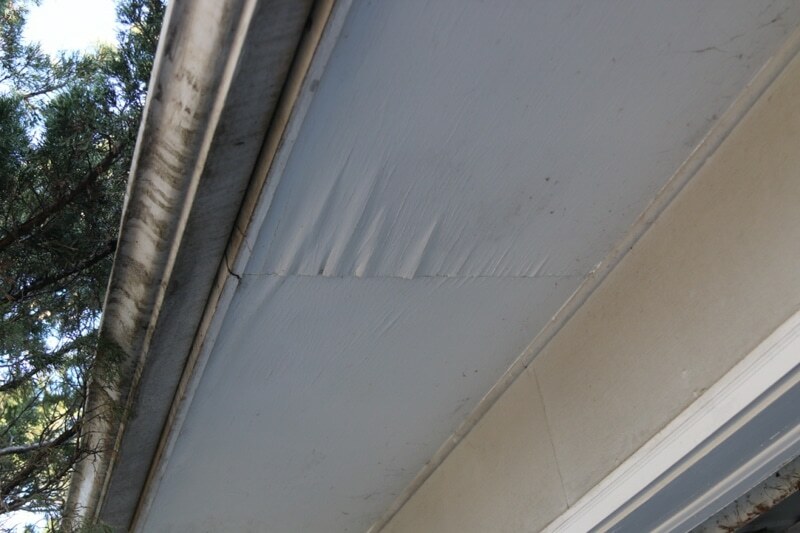 They will not rest until our customers are completely satisfied with every detail of the job. 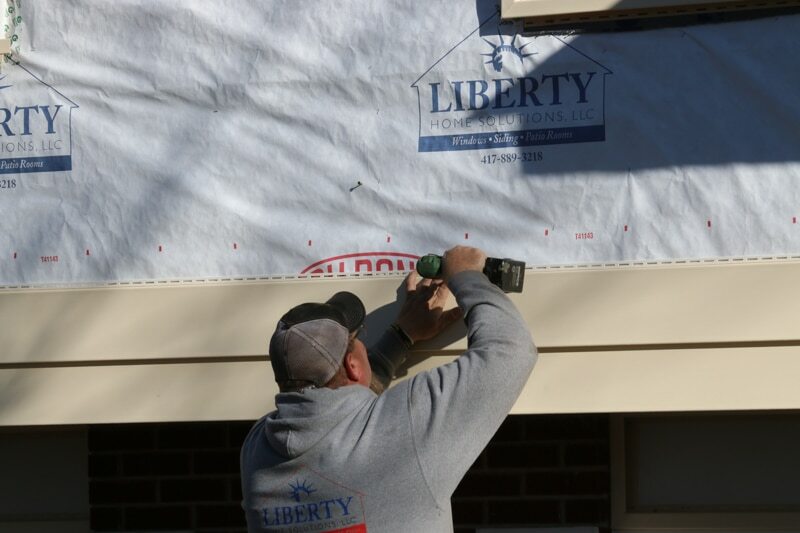 They take pride in what they do and we believe this is one of the main reasons we have been able to continue to grow as a company. 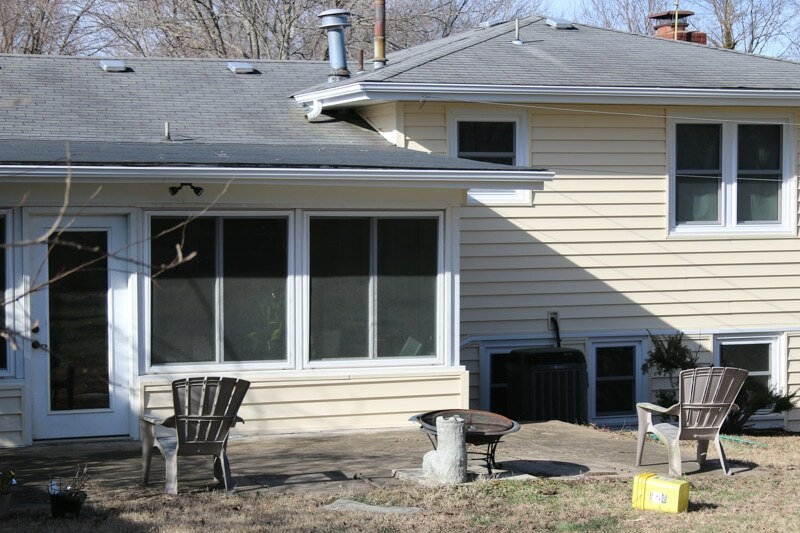 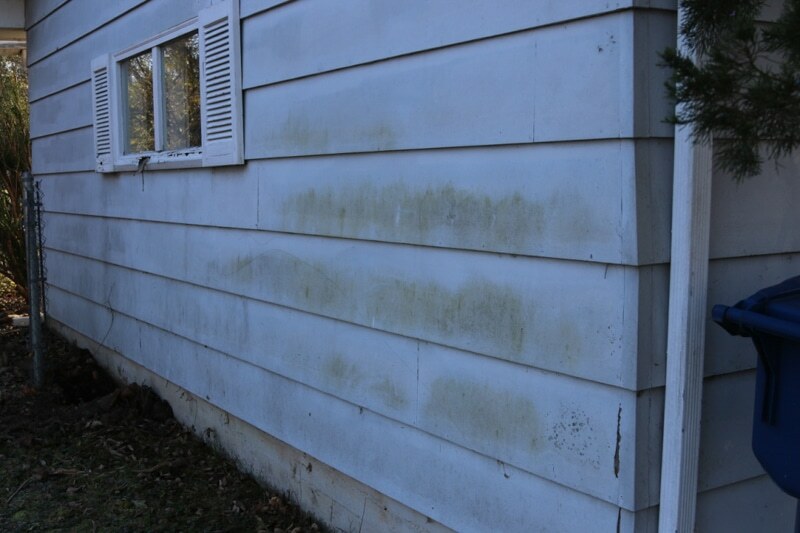 As you can see this home had a dramatic transformation. 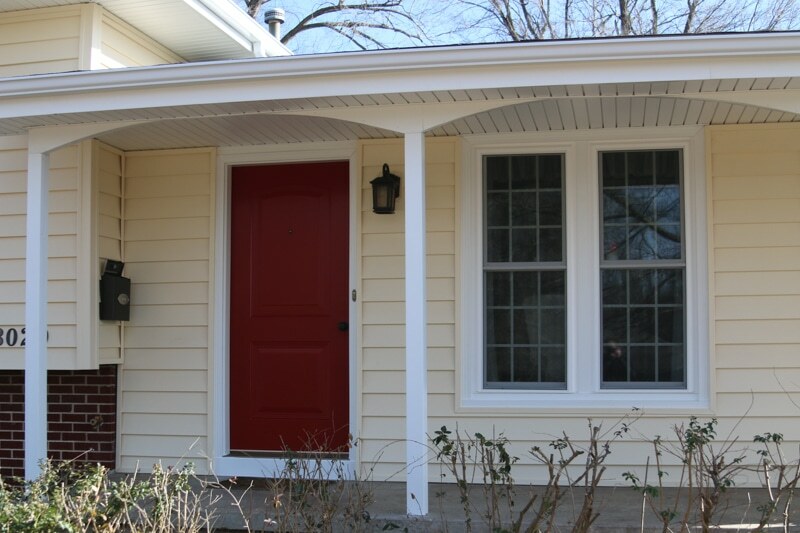 The homeowners now have a home that is low maintenance, one that will drastically reduce their monthly energy bills, and just looks the way they dreamed it would before we remodeled it. 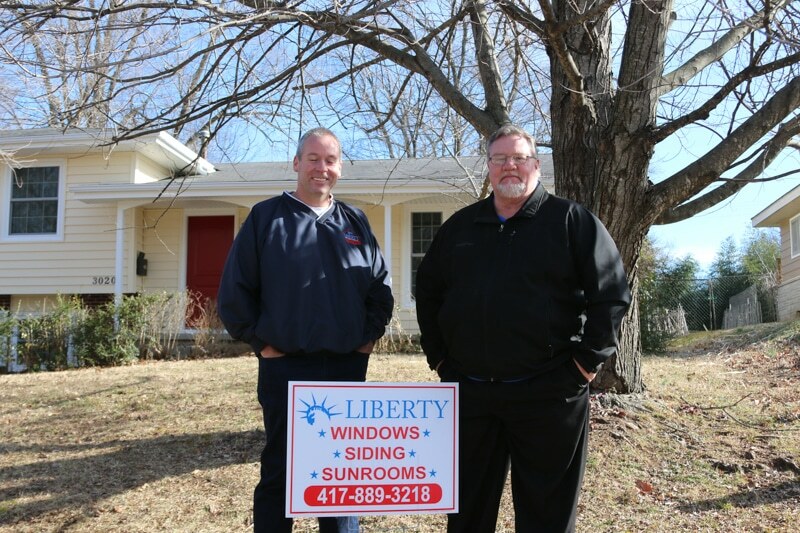 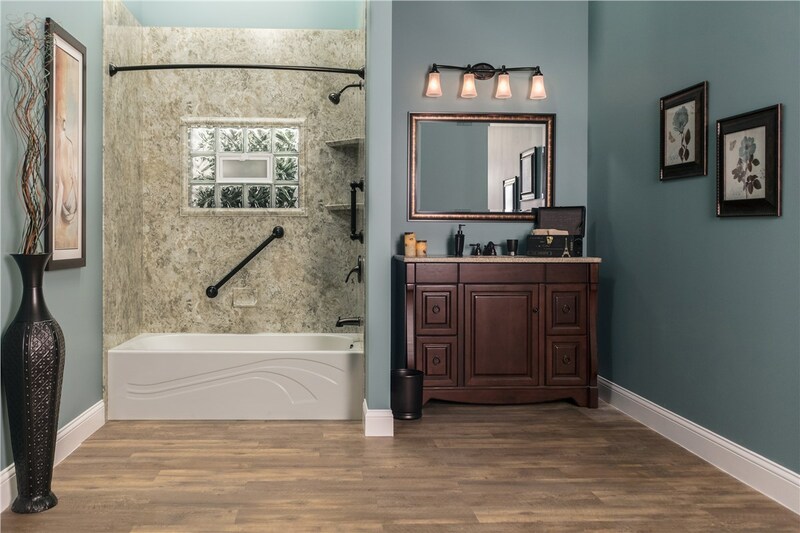 This is the Liberty Home Solutions home remodel story. 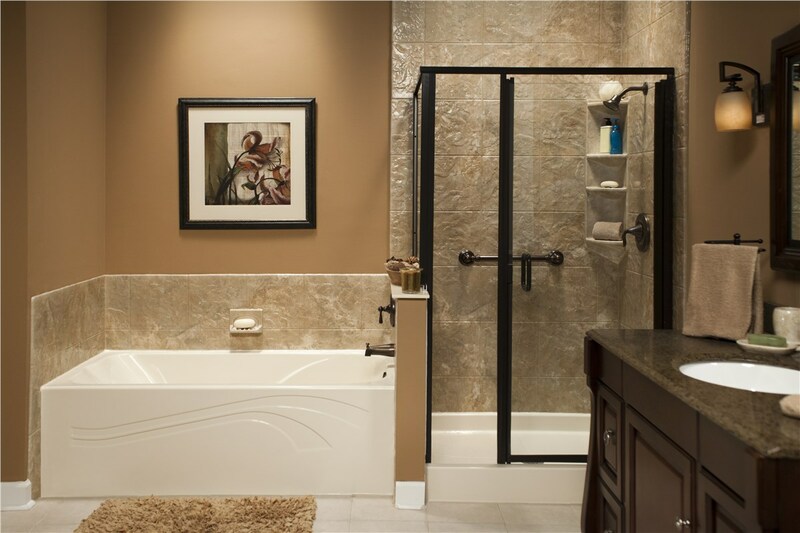 If you would like to see for yourself how we can remodel you home, please contact us today! 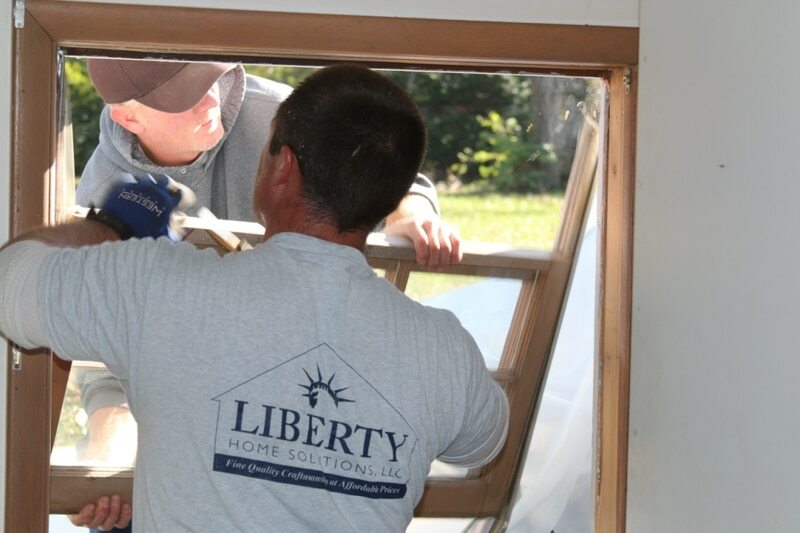 Liberty Home Solutions, Home Remodel Made Simple! 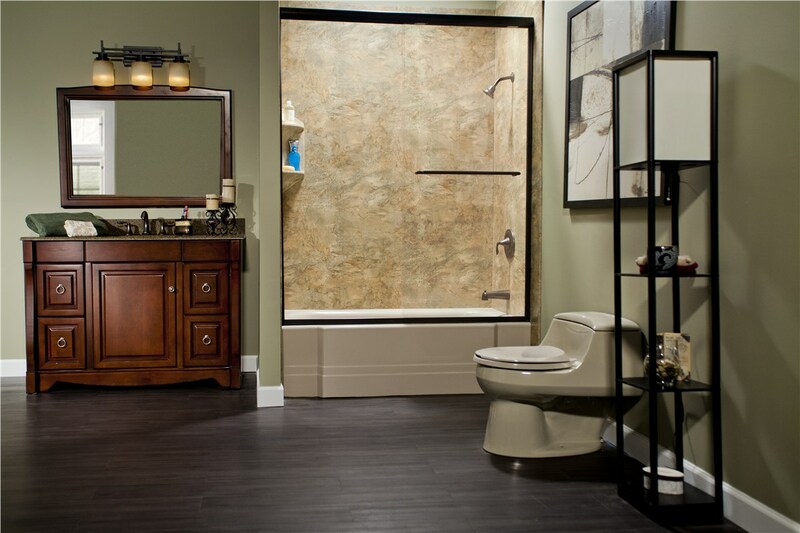 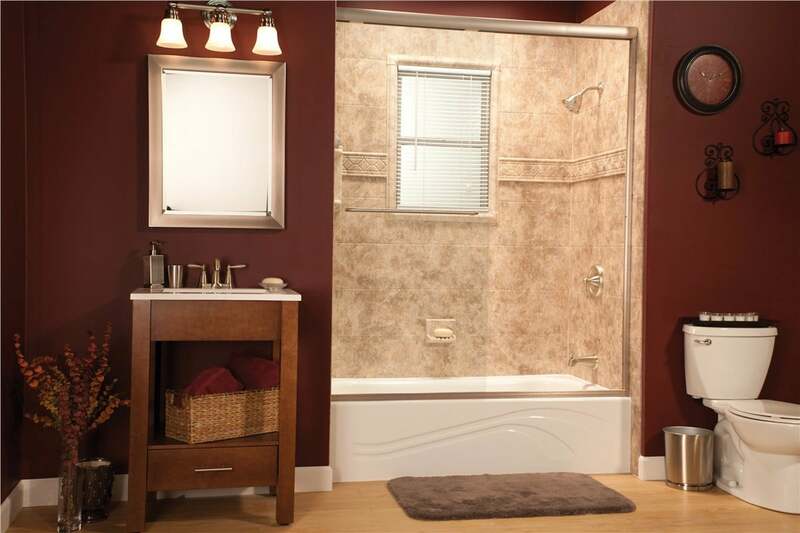 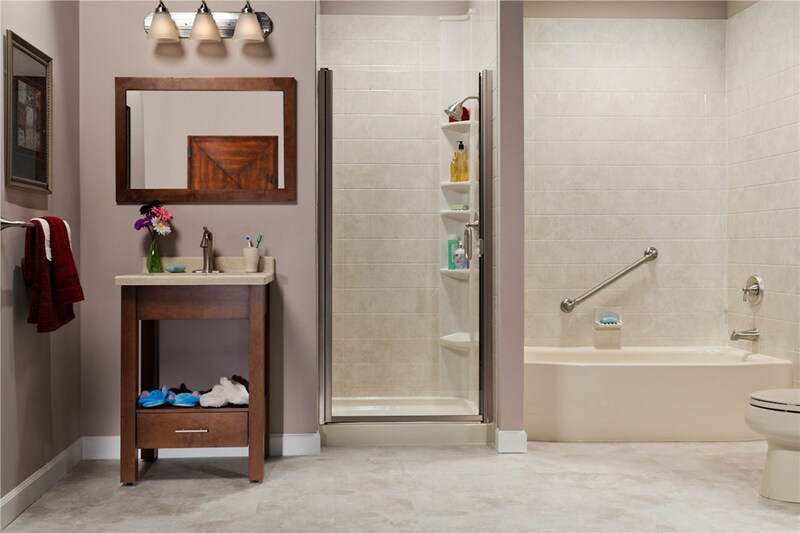 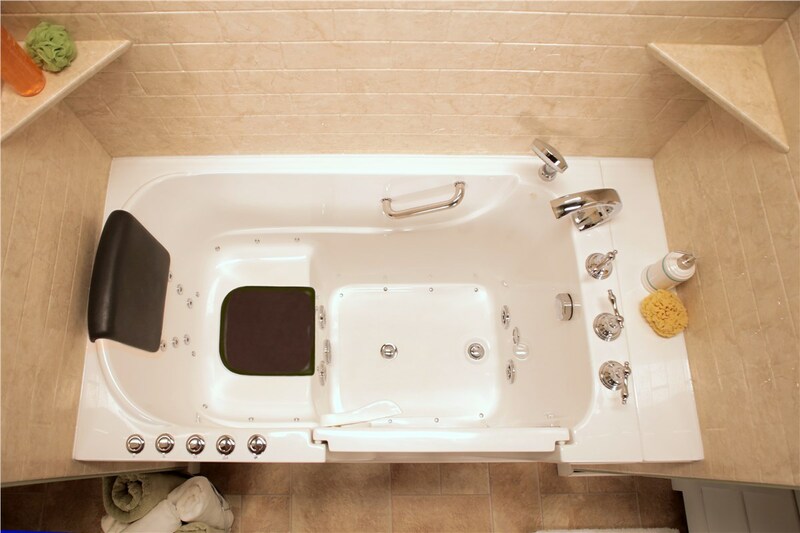 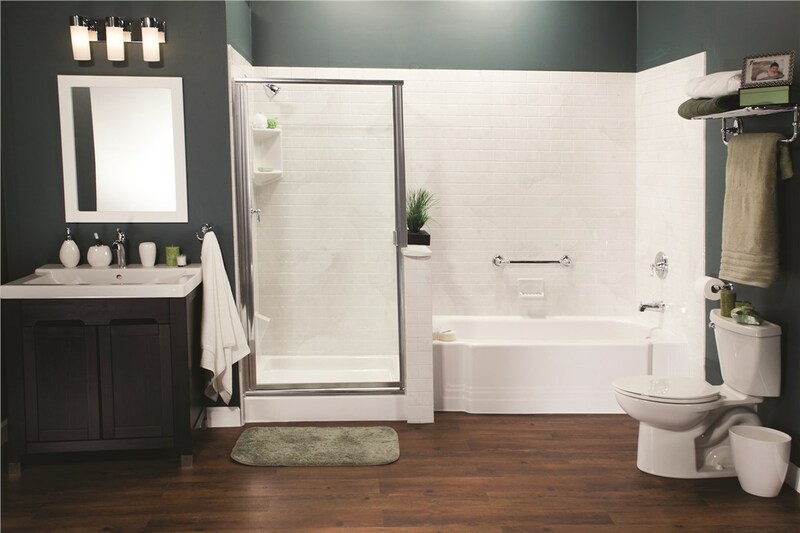 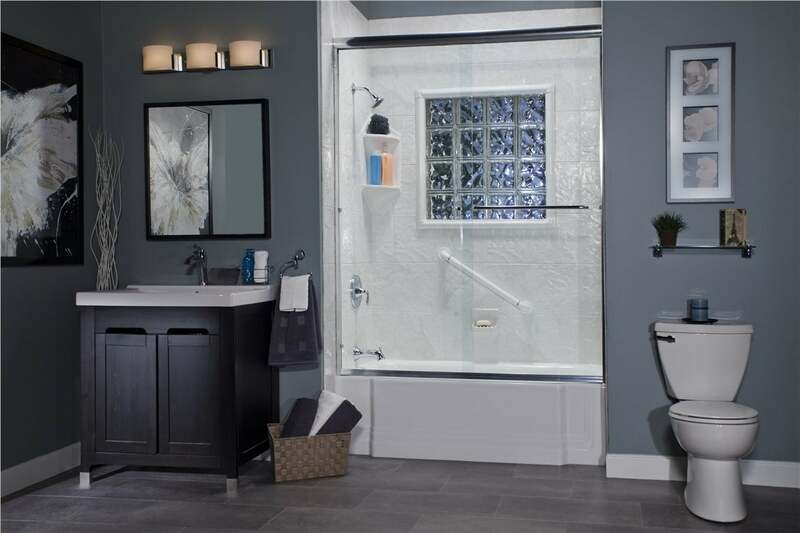 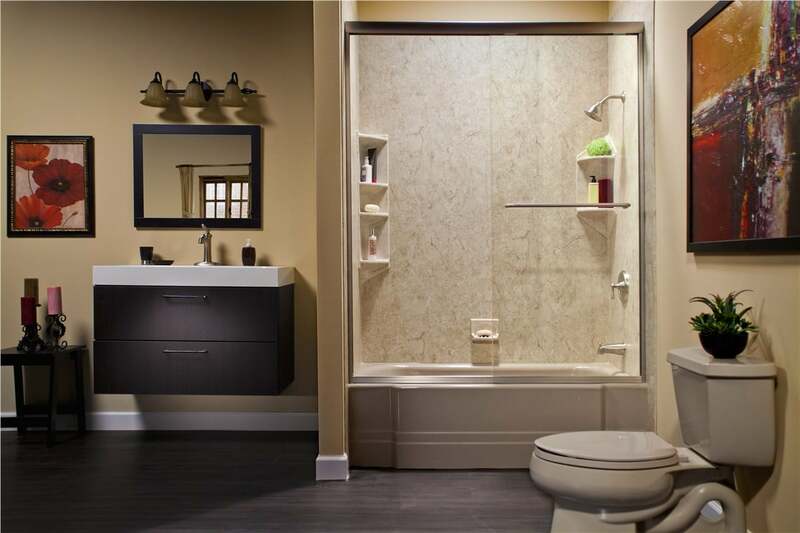 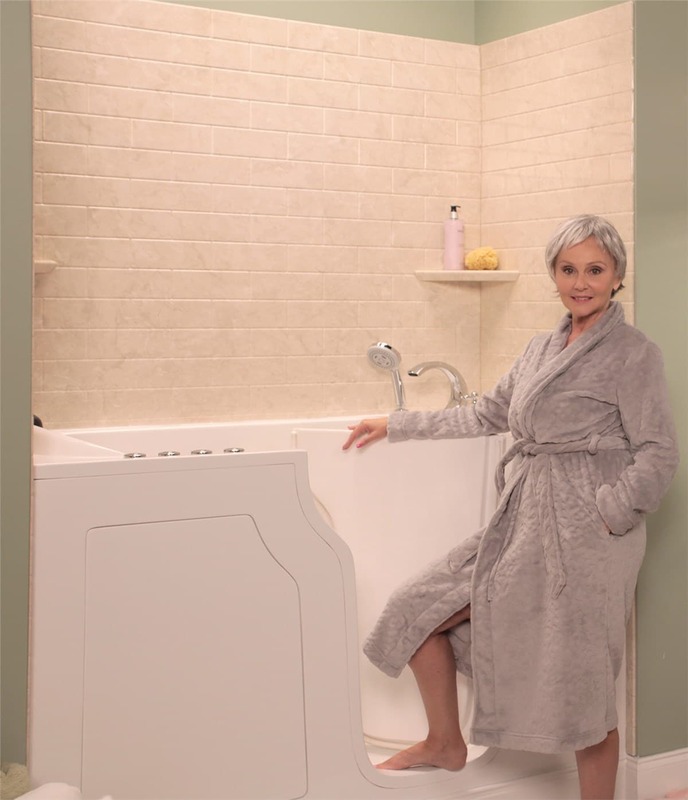 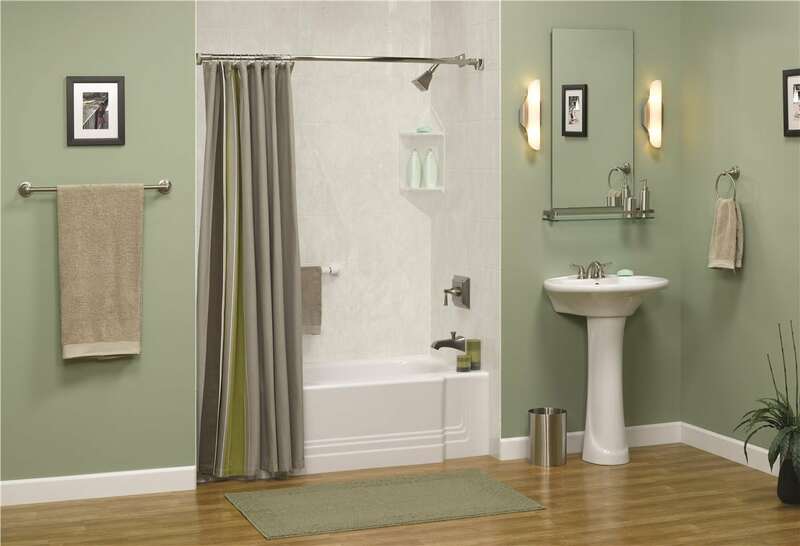 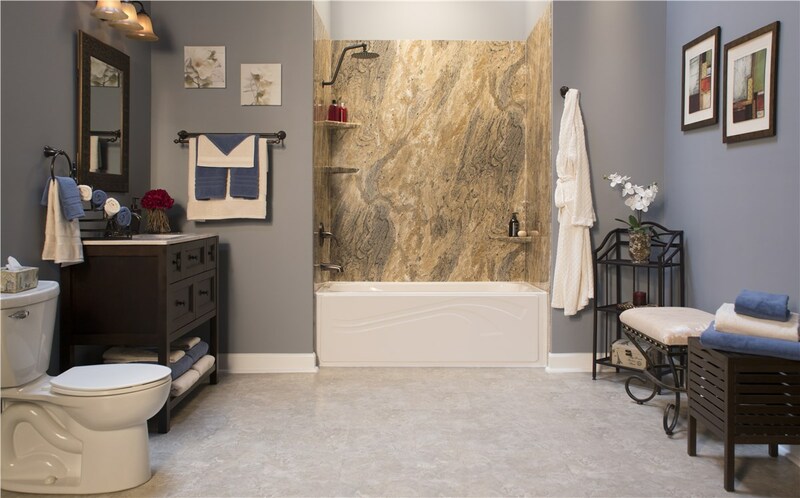 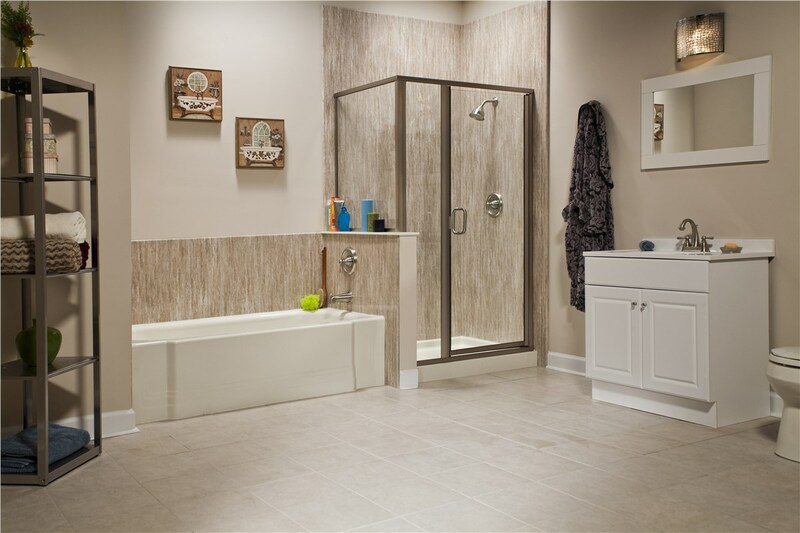 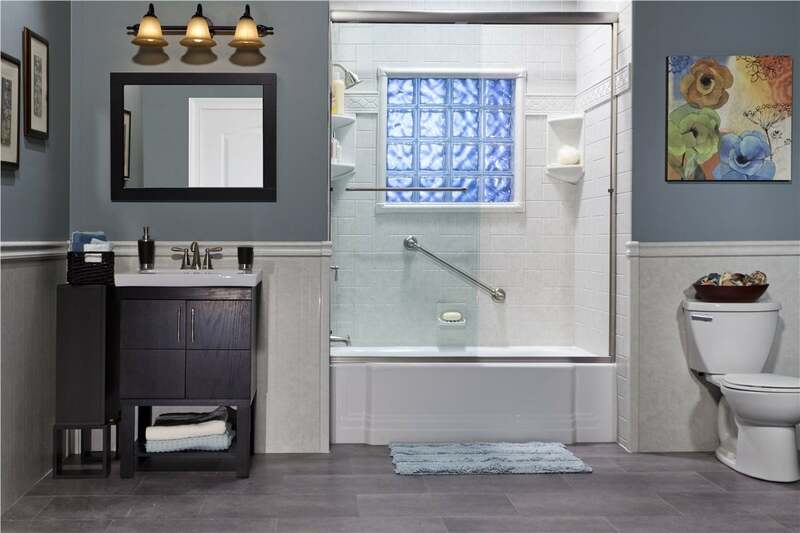 PreviousPrevious post:Smaller Bathroom Remodel TipsNextNext post:Ready to Convert Your Tub to a Shower?